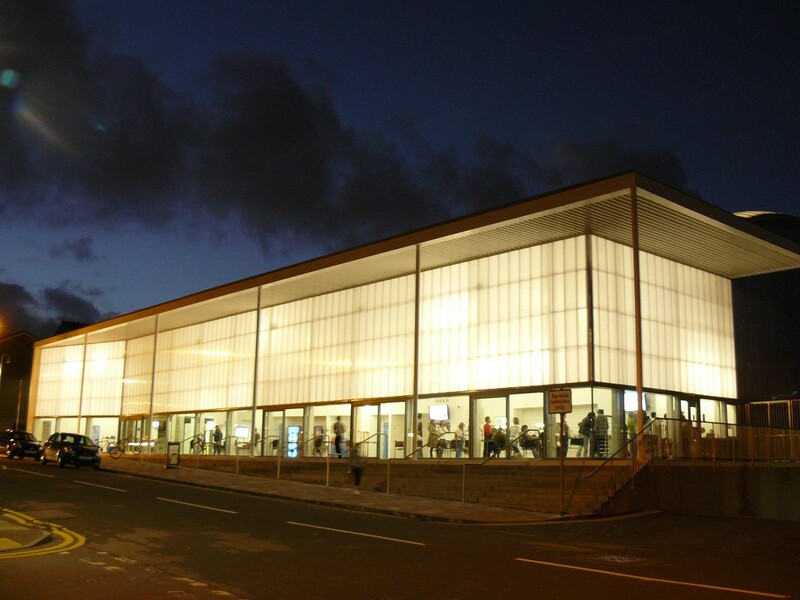 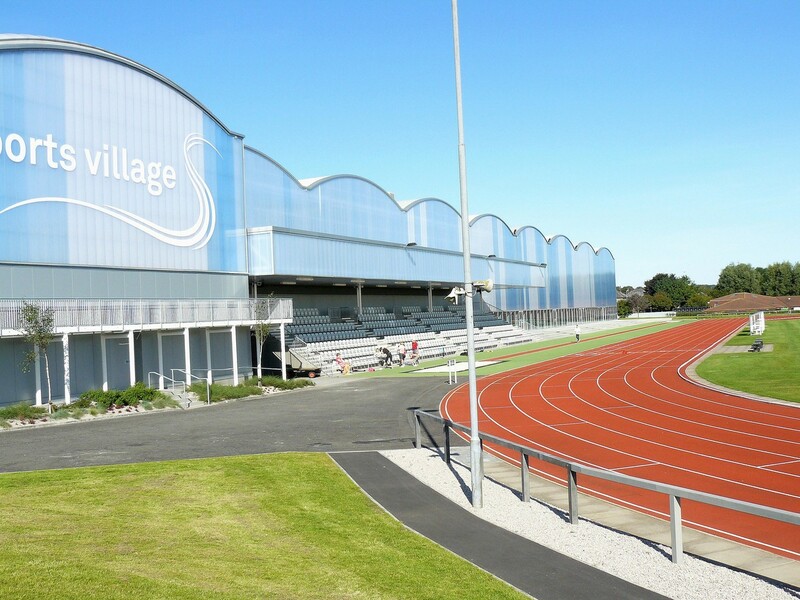 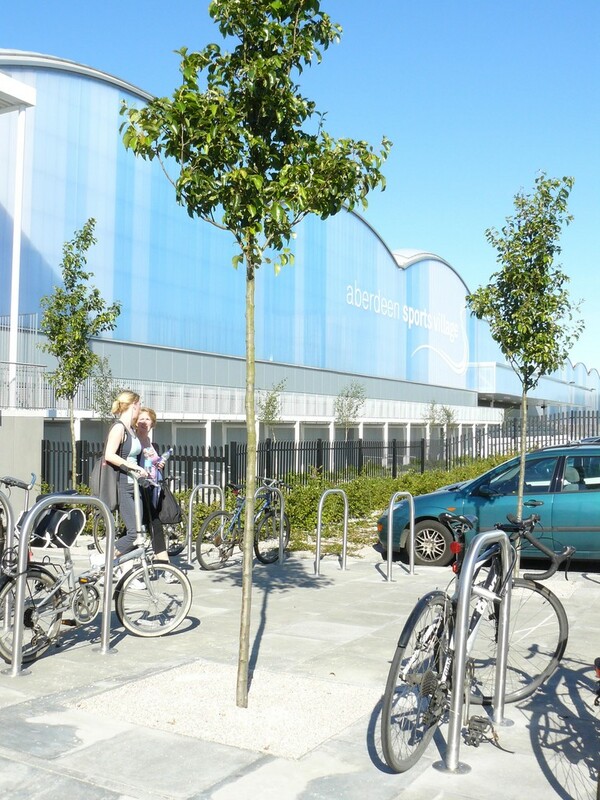 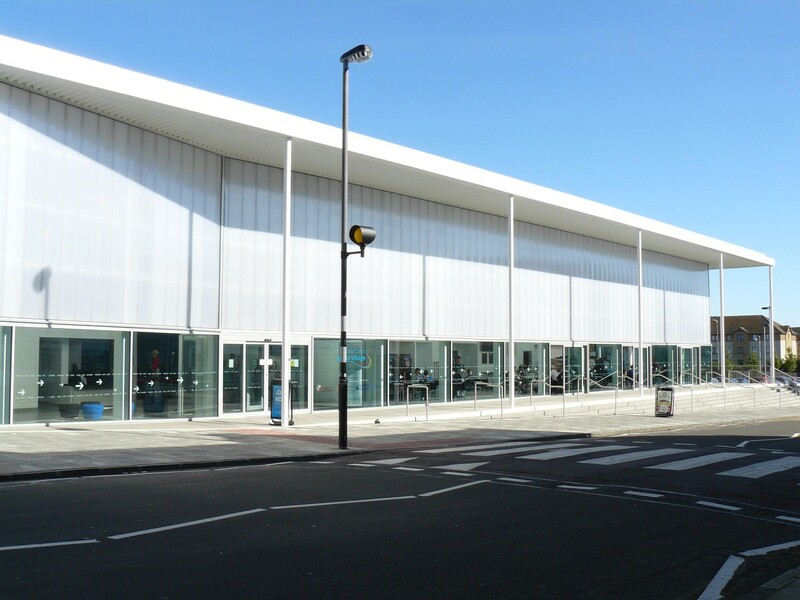 In the Aberdeen Sports Village, the corrugated side façade which is “lit up” at night, and the “portico” on Linksfield Road with its rather cute little structural details, present a bright welcome to the facilities within. 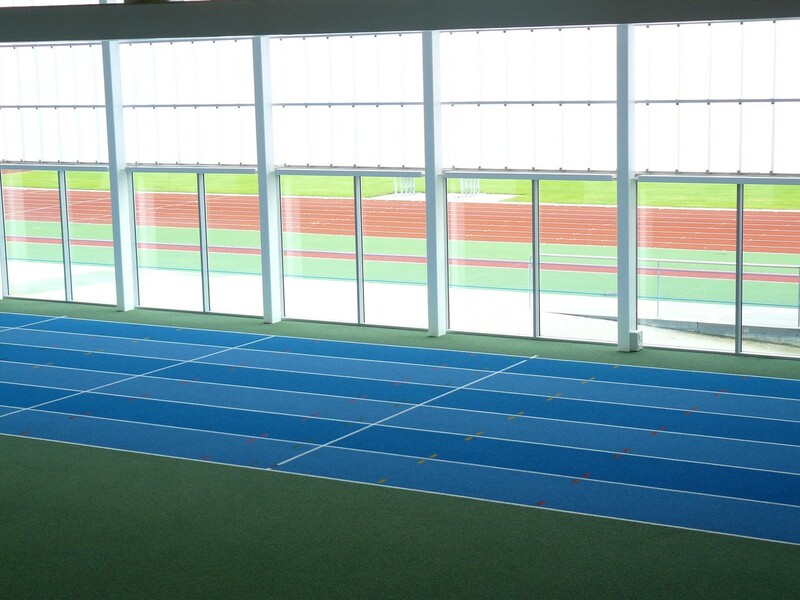 These include full-size covered pitches and running tracks, courts for a whole range of games, accommodation for dancing and weight-lifting, along with canteen facilities just waiting for the 50-metre swimming pool! 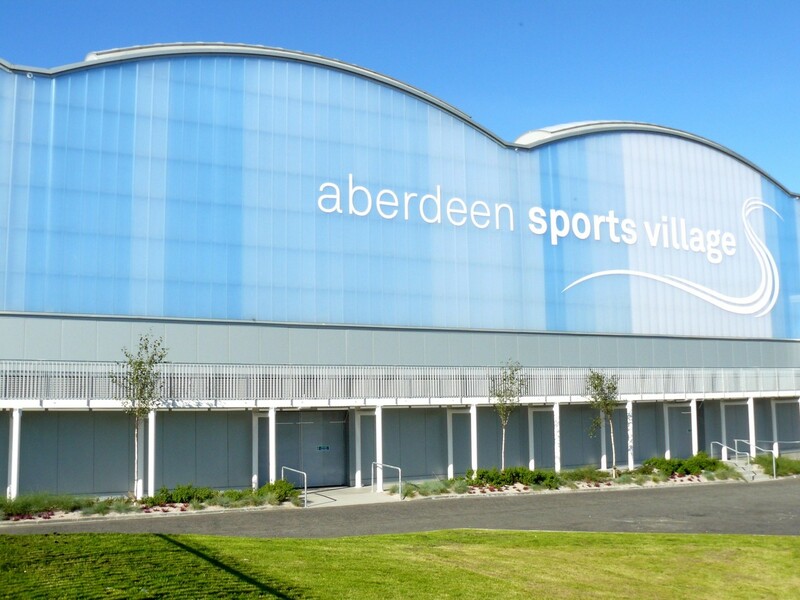 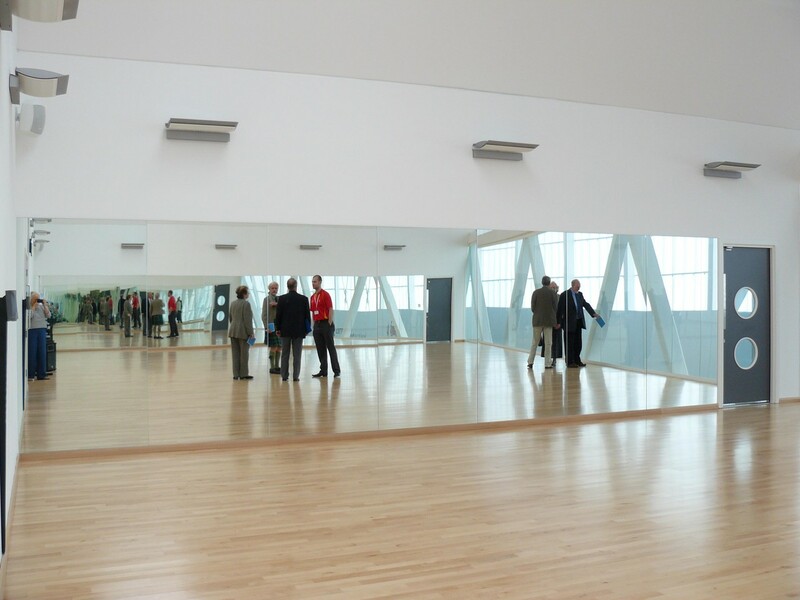 So, the Award was given for the design of the facility and also for the multiple benefits this palace of sports amenities will confer on the City and people of Aberdeen. 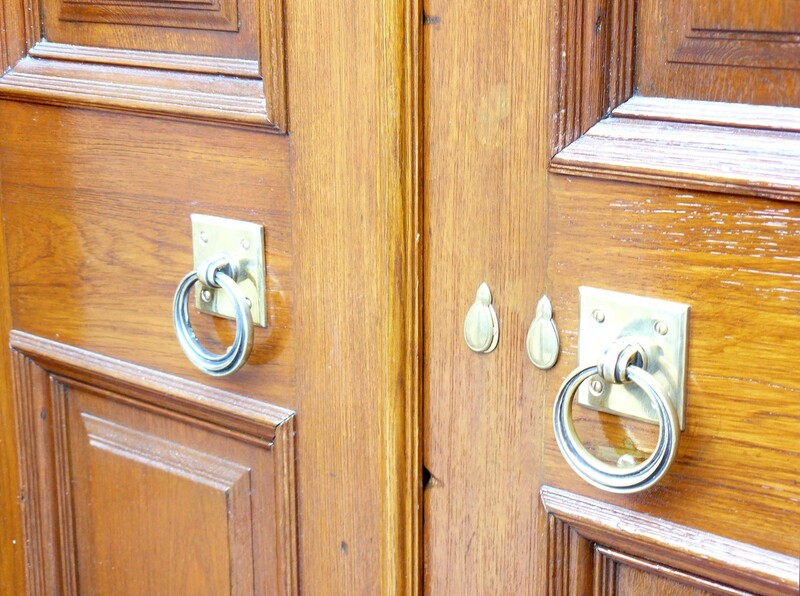 The Award For Craftsmanship was inaugurated in 2008 for examples of outstanding craftsmanship. 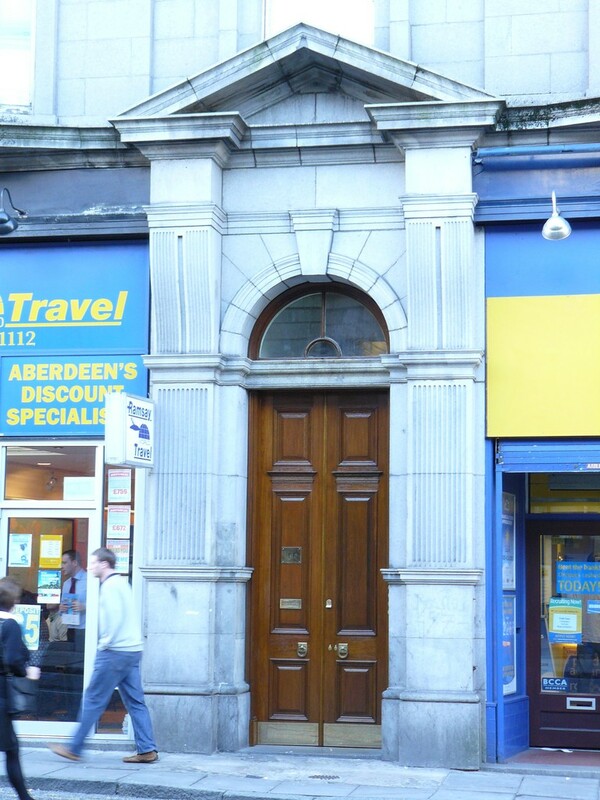 This year, it went to Mr Derek Thomson for his work in restoring the door to the upper levels ofNo. 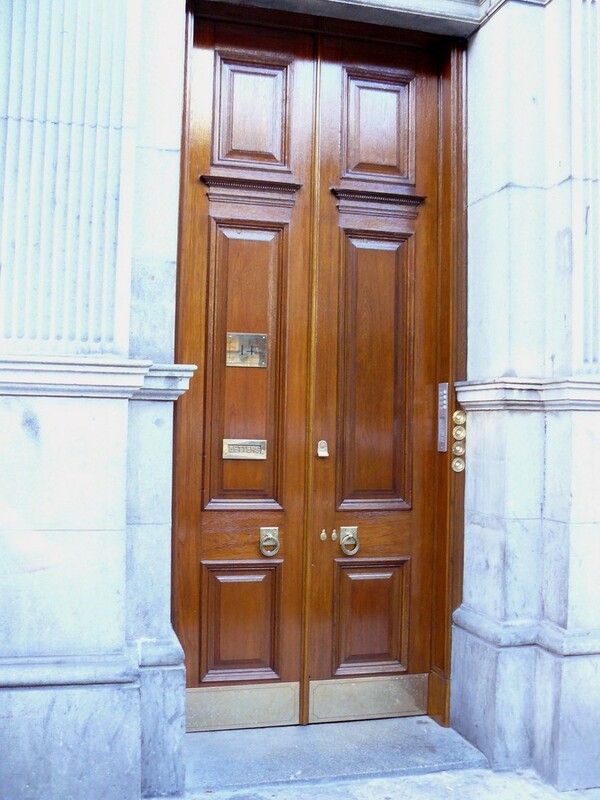 14c Crown Street. 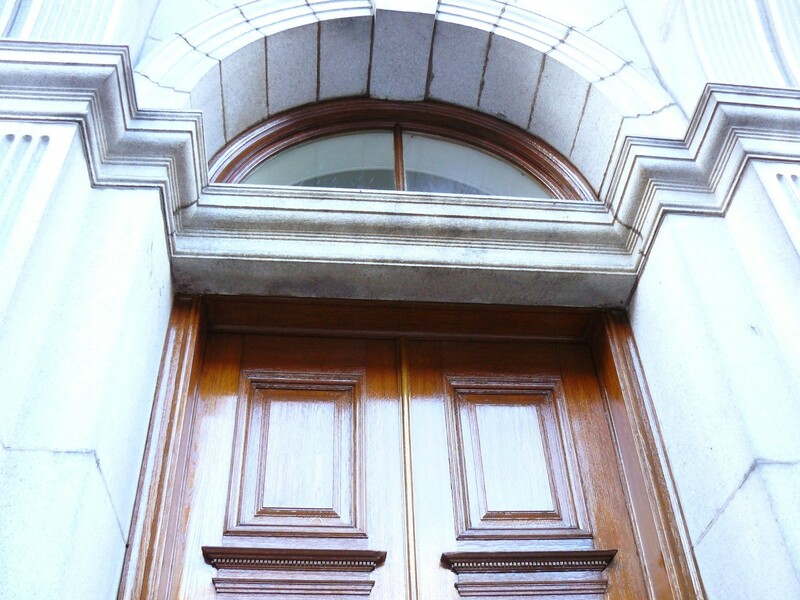 The doorway is an important element of the grandiose Baronial/Baroque “Star & Garter” block, and Mr Thomson’s restoration of the woodwork of the door has done much to retain the character of the building. 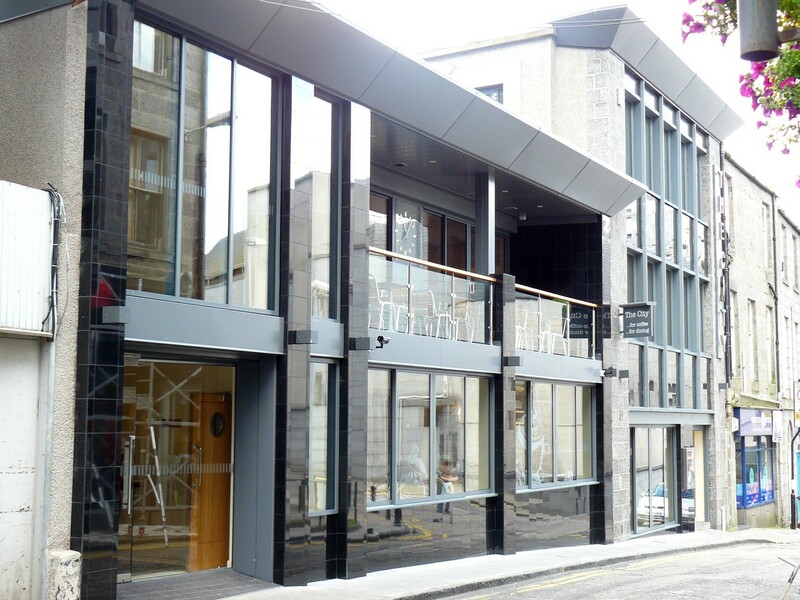 First among the Commendations is the new façade of the Bon Accord Centre on Gallowgate. 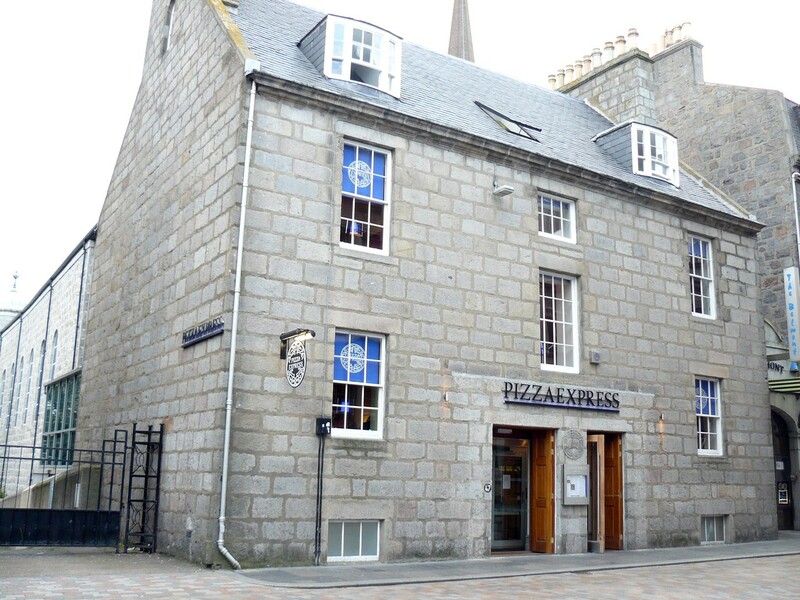 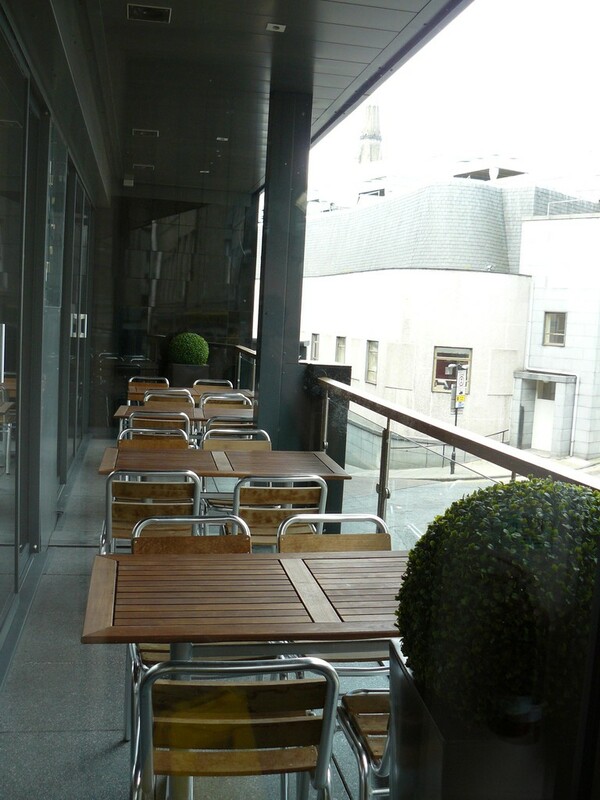 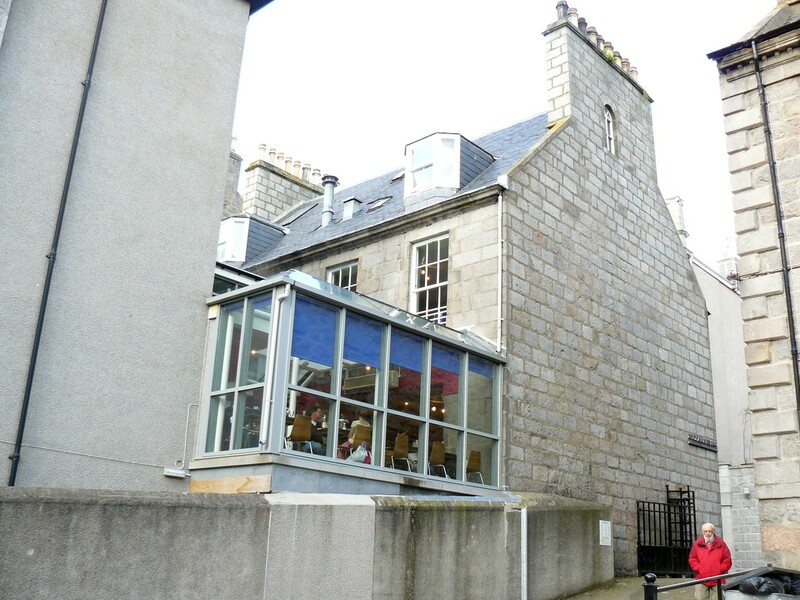 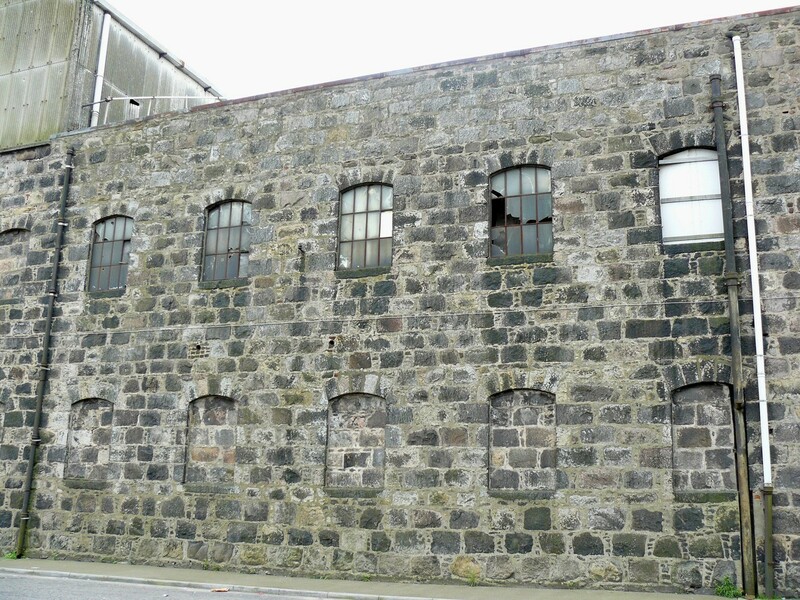 The previous occupant of this site, next to the Marischal Bar, was the Dining Hall of the former Students’ Union, a building which somehow never fitted in. 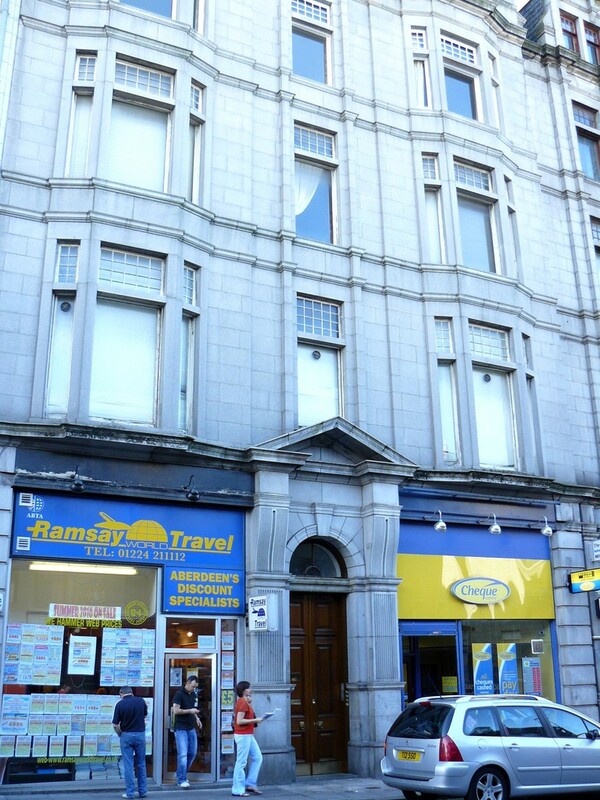 Its replacement has a bright shopfront, albeit with no entrance at ground level. 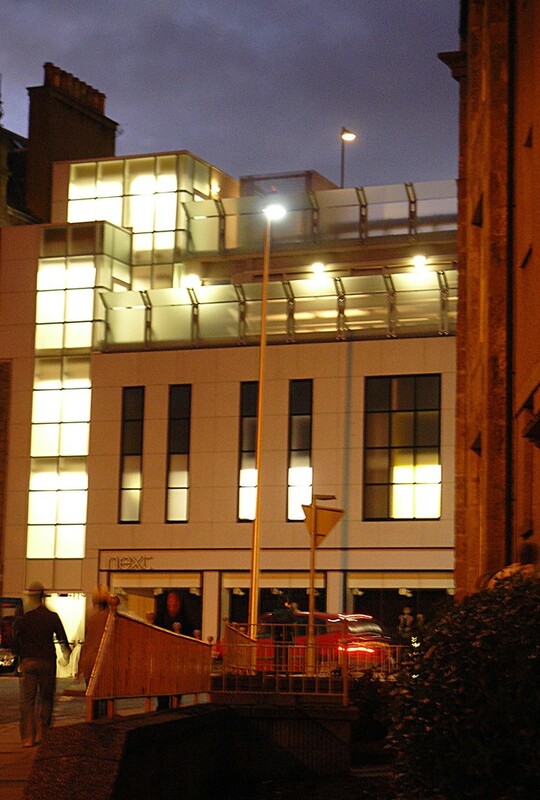 The upper part of the façade conceals a car park; but, with its glass quasi-penthouse and lighting, it adds a touch of joy to a previously dull part of the city centre. 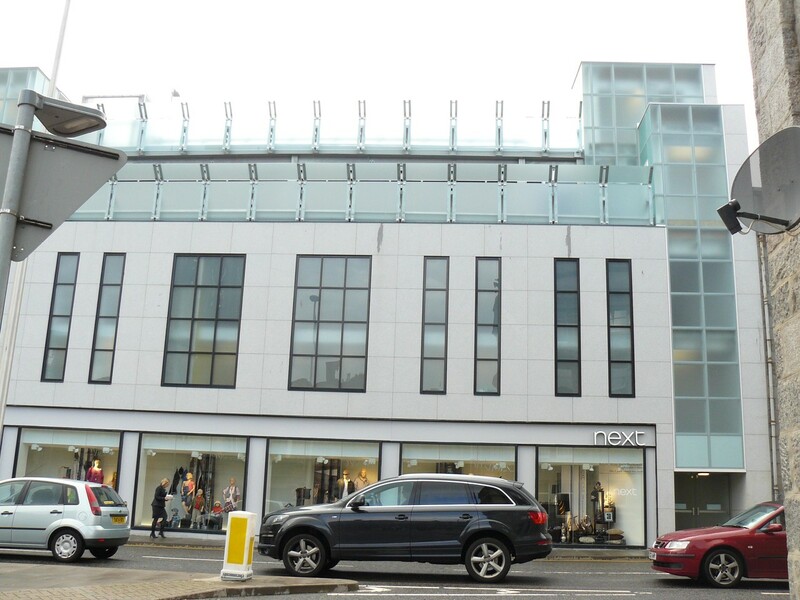 This development was designed by Archial Architects and built by Mansell Construction Services for the Scottish Retail Property Partnership. 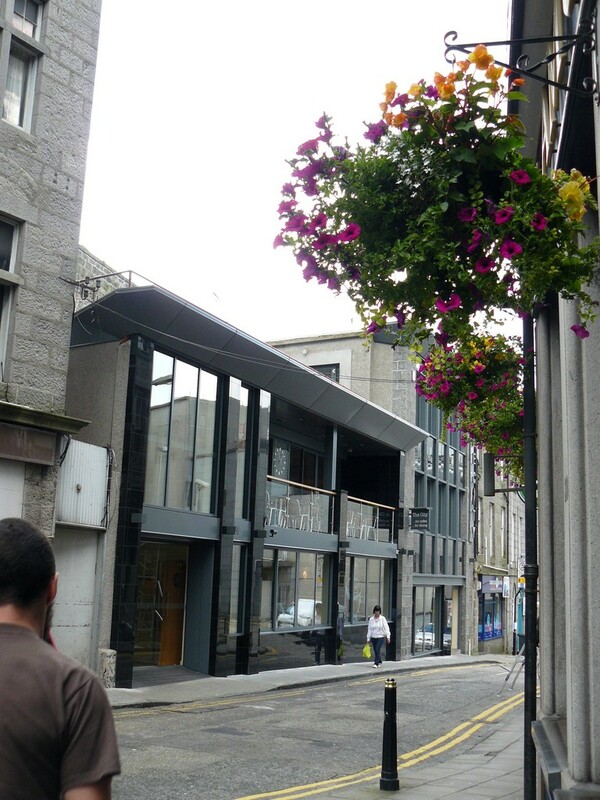 The “touch of joy” is repeated nearby in our next Commendation – the redevelopment of what was the City Bar in Netherkirkgate. 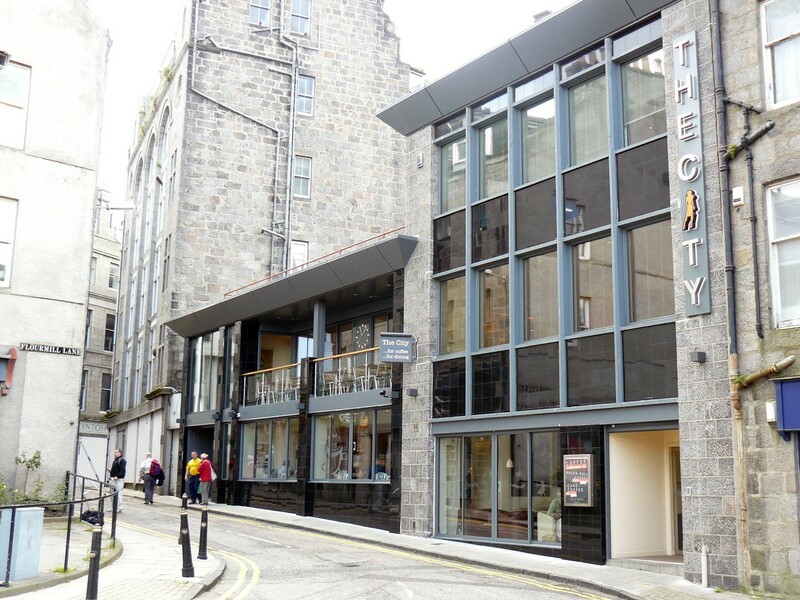 Here, the lofty single-storey façade of the former bar has been replaced by a new restaurant on two floors – The City – with a balcony at first-floor level and incorporating a restoration of the adjoining building. 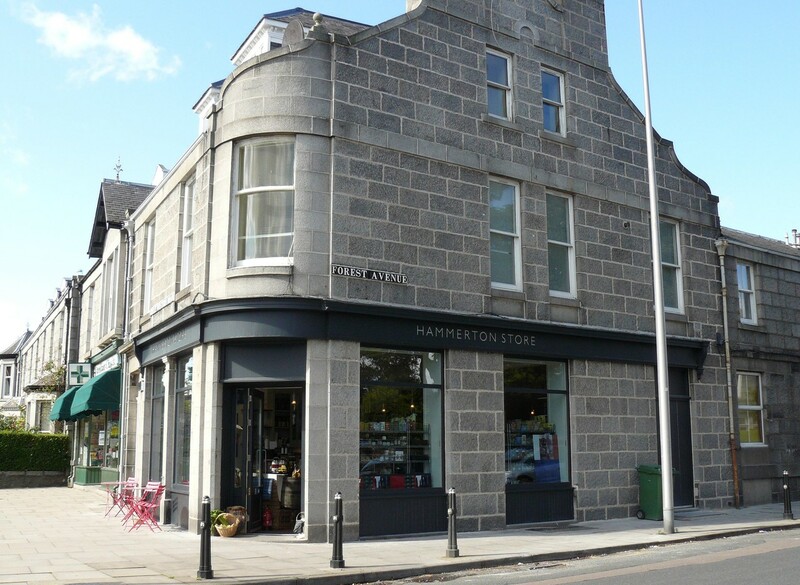 Fitzgerald Associates designed this exciting new development for the Drumrossie Land Development Co. Ltd. We look forward to the redevelopment of the former E&M stores to further enhance the ambience of the ancient thoroughfare of Netherkirkgate. 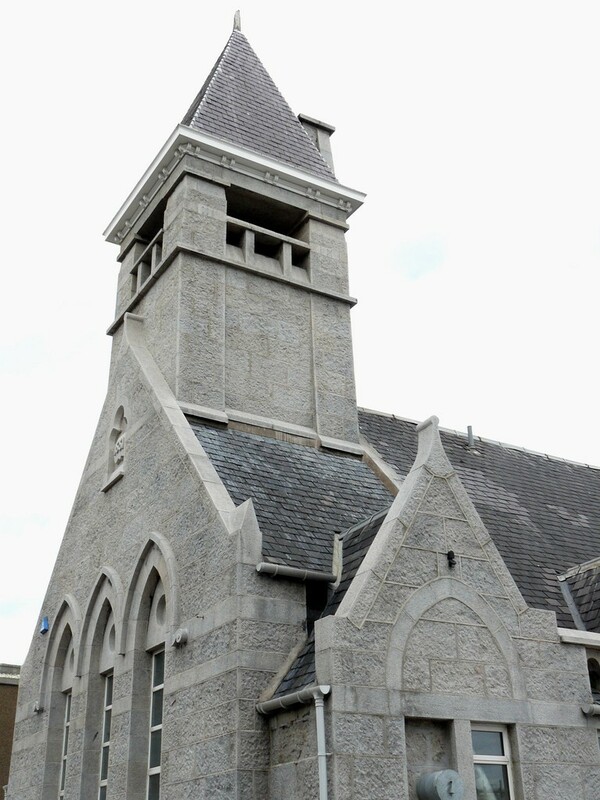 The final Commendation is one which may have puzzled some members. 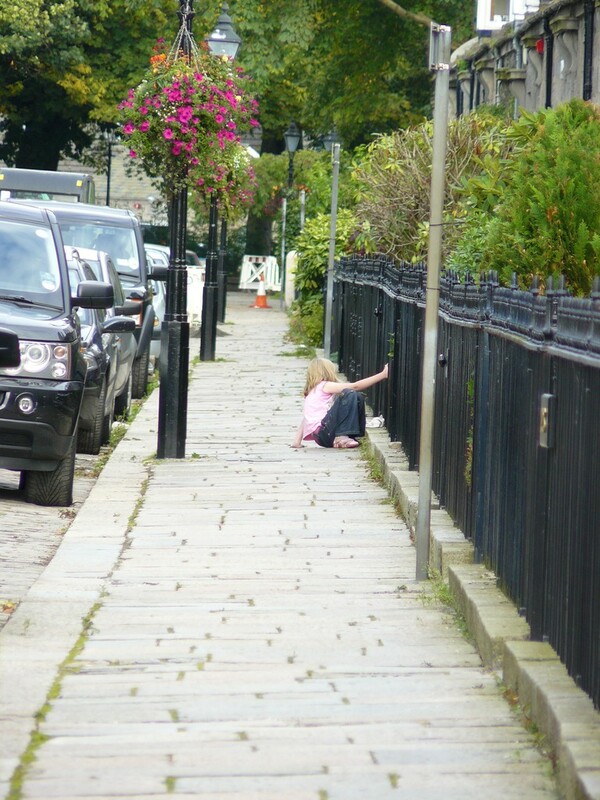 The Society is generally opposed to big developments in the former back gardens of large houses taking access from a back lane. 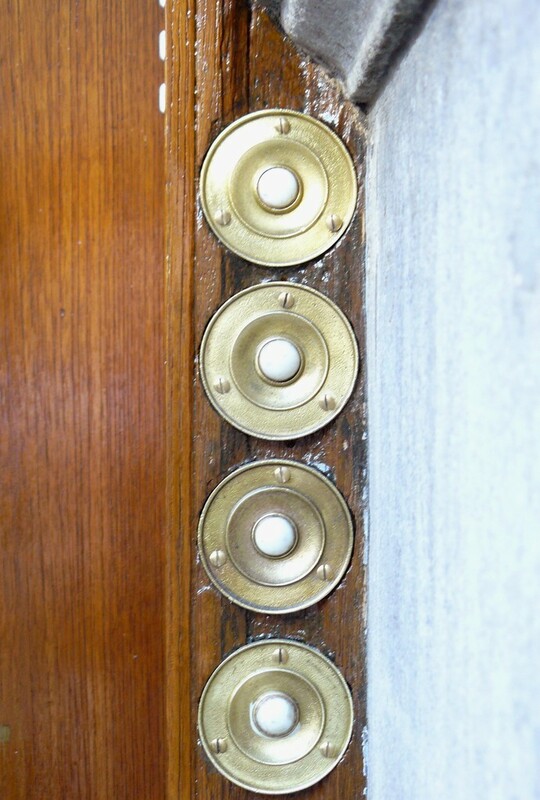 Behind No. 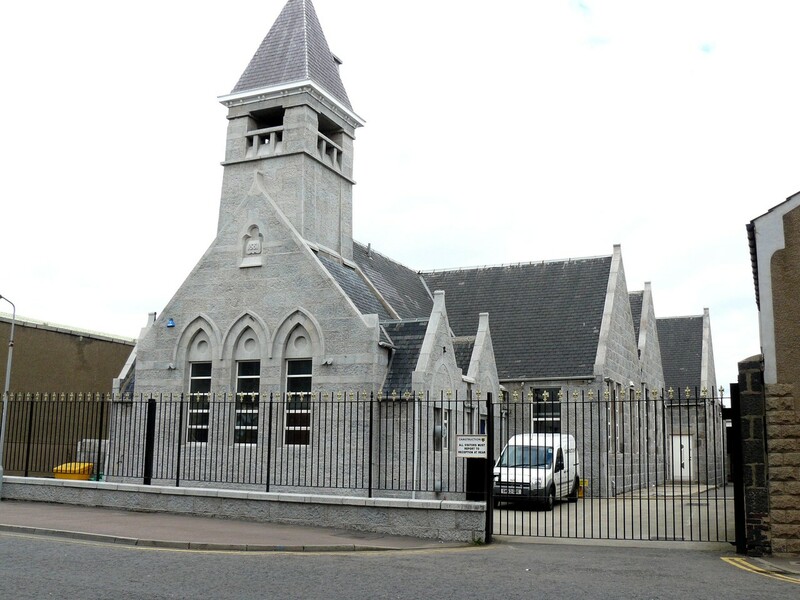 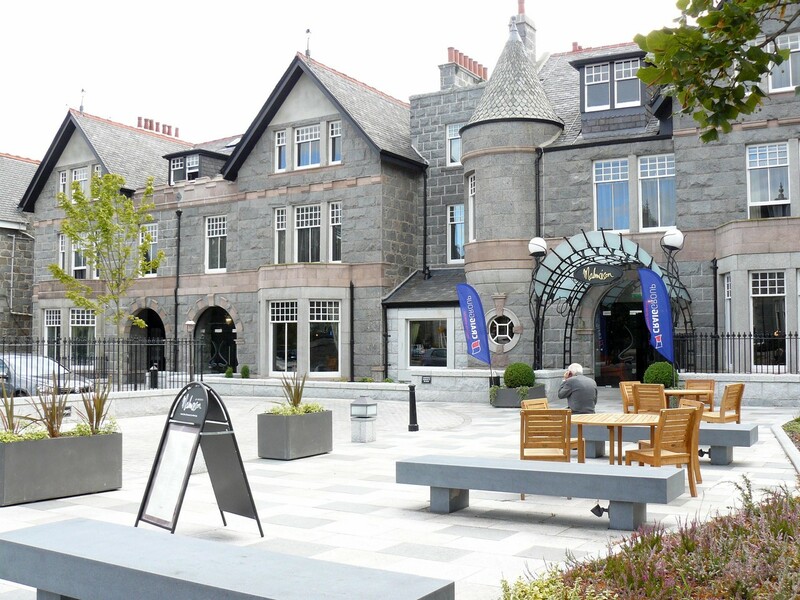 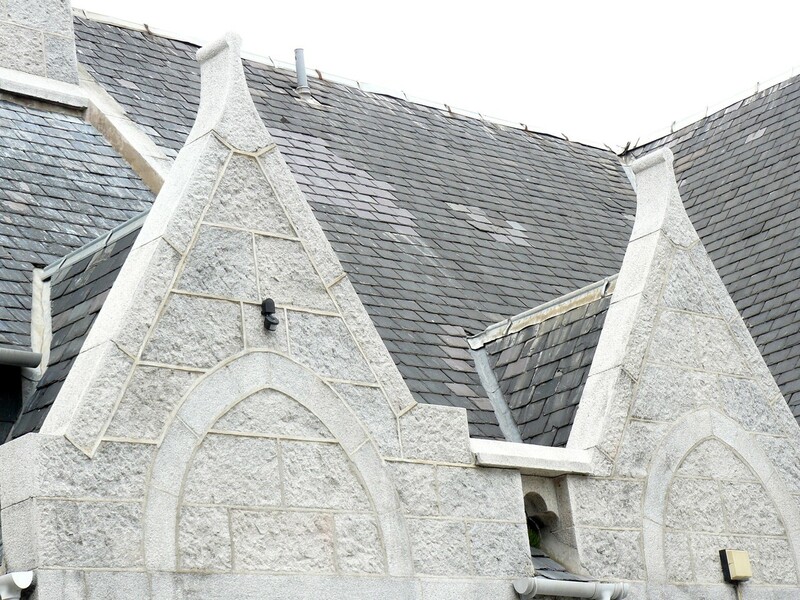 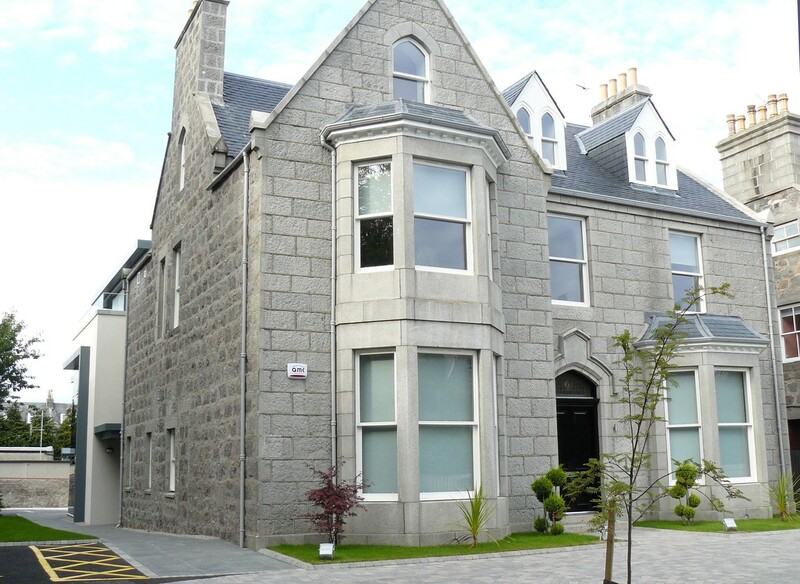 6 Queen’s Road, the one-time Junior Boarding House for Aberdeen Grammar School, an office building has been erected for C&L Properties Ltd, designed by Fitzgerald Associates and built by Alken Construction Ltd. 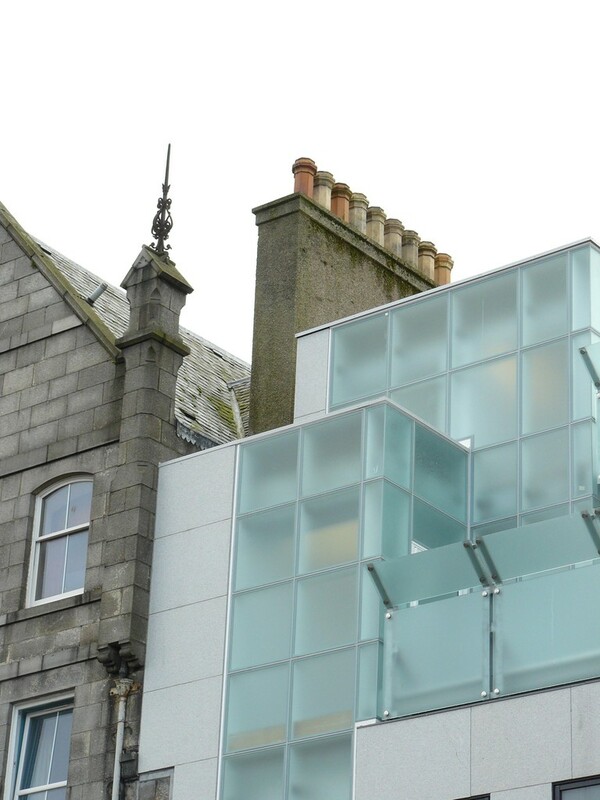 This new development, which fronts on to Queen’s Lane North, stands out as a building separate and distinct from the former house it adjoins. 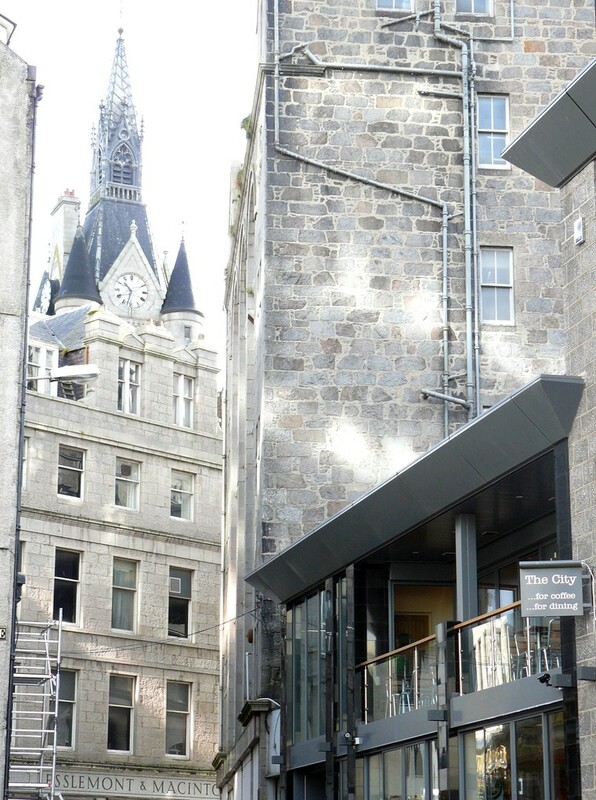 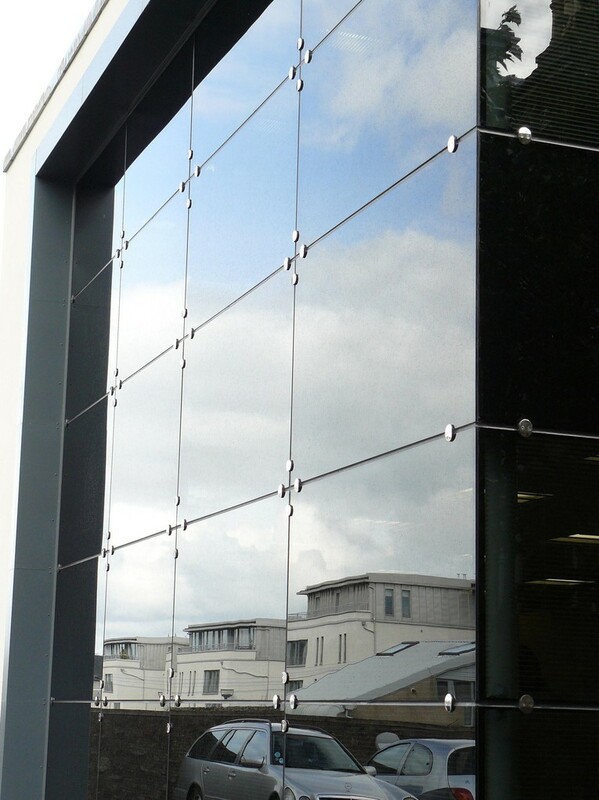 Following some widening caused by the redevelopment of the former Grampian TV site, Queen’s Lane North is now almost a street in its own right, with one or two new buildings contributing to this transformation, continued by the striking glass façade and detailing of this latest addition. 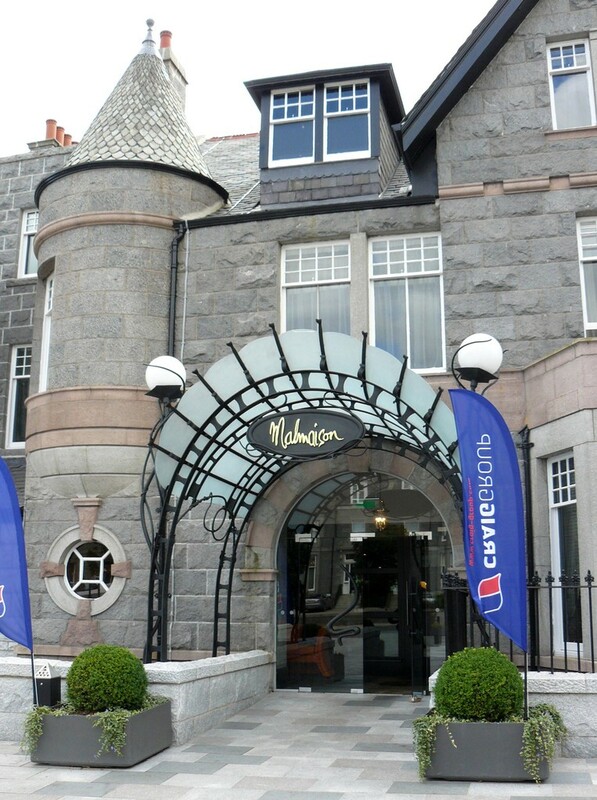 The first place to receive a Special Mention was the new Malmaison Hotel, Queen’s Road, known severally in the past as the Queen’s Hotel or the New Marcliffe. 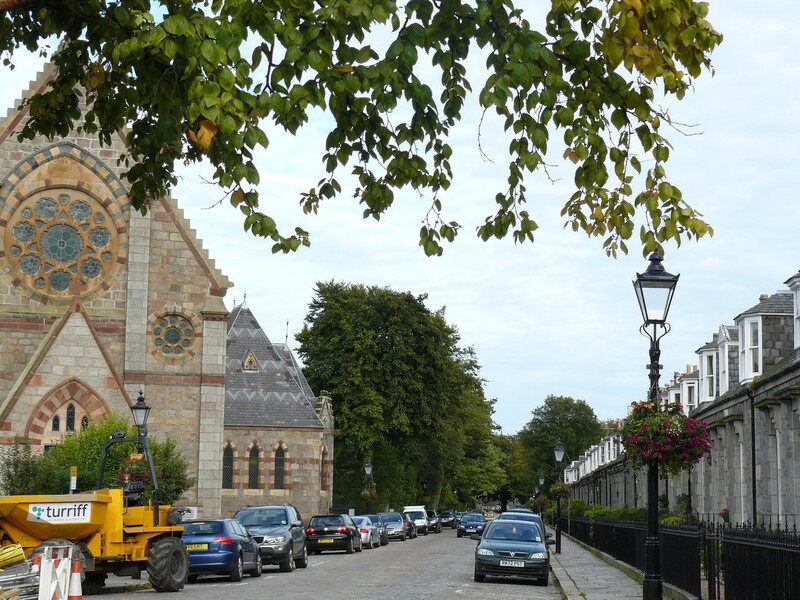 Here, a big extension has appeared at the rear, and the interior has been recast as one whole rather than three converted Victorian houses; but the feature which impressed the Committee was the enhancement of the façade to Queen’s Road, with interesting ironwork and the attractive layout of the hard landscaping and parking areas. 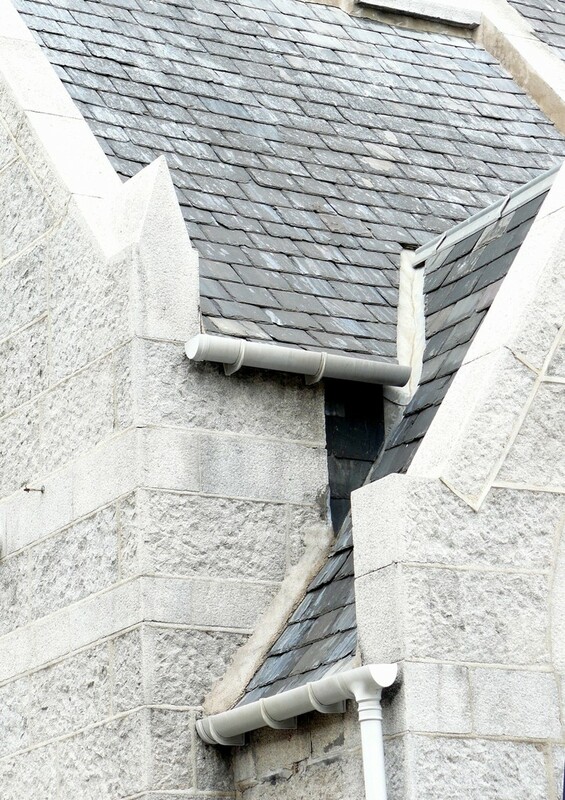 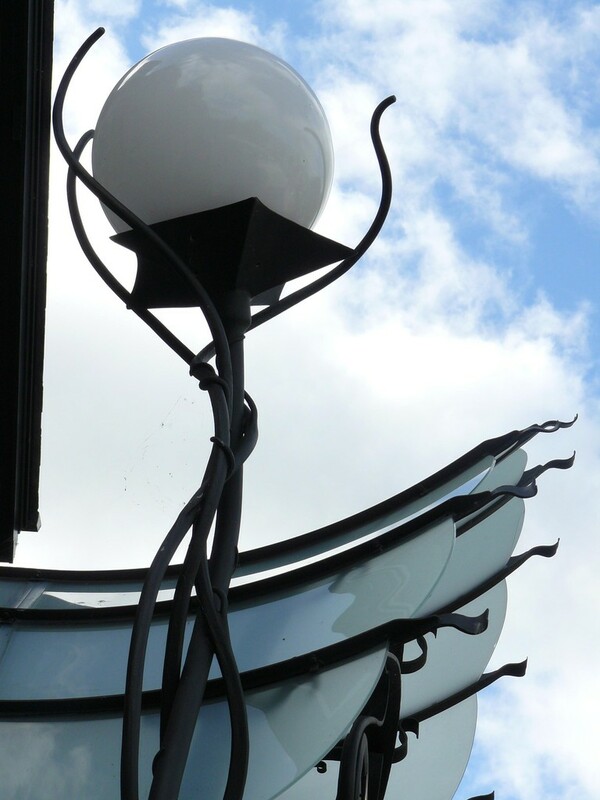 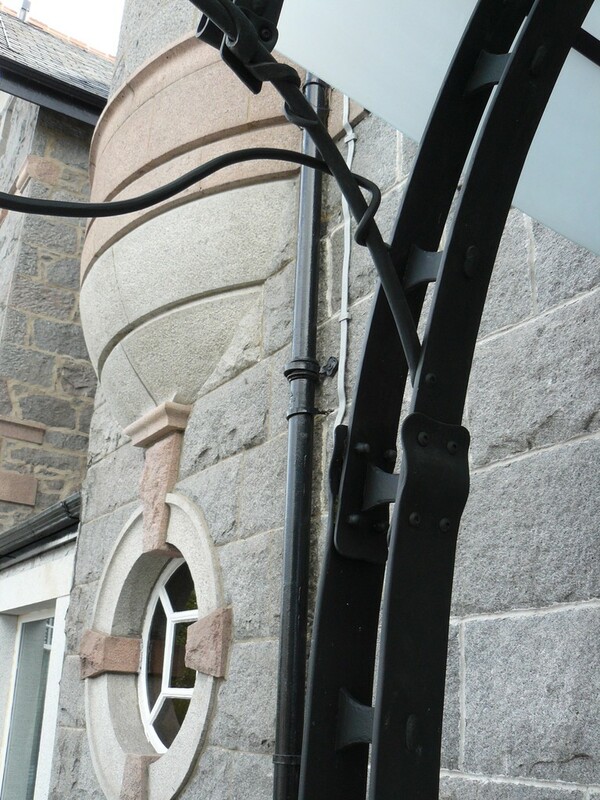 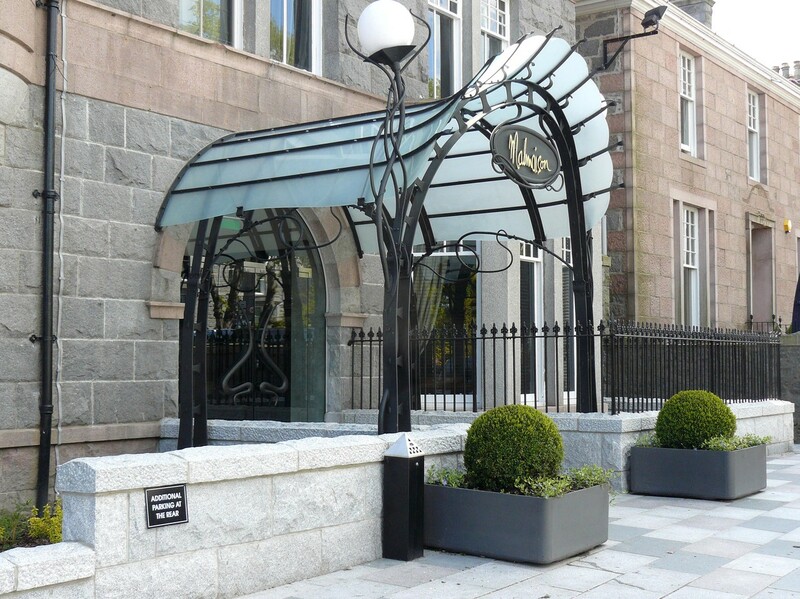 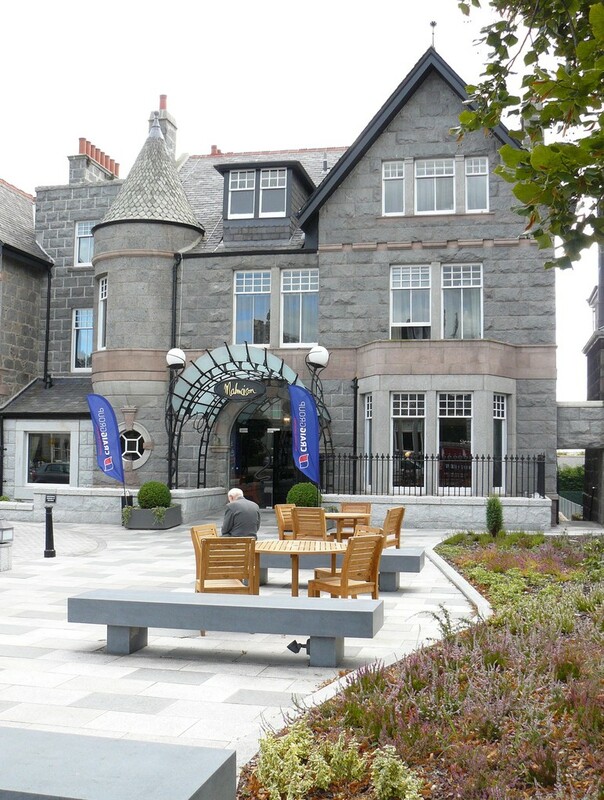 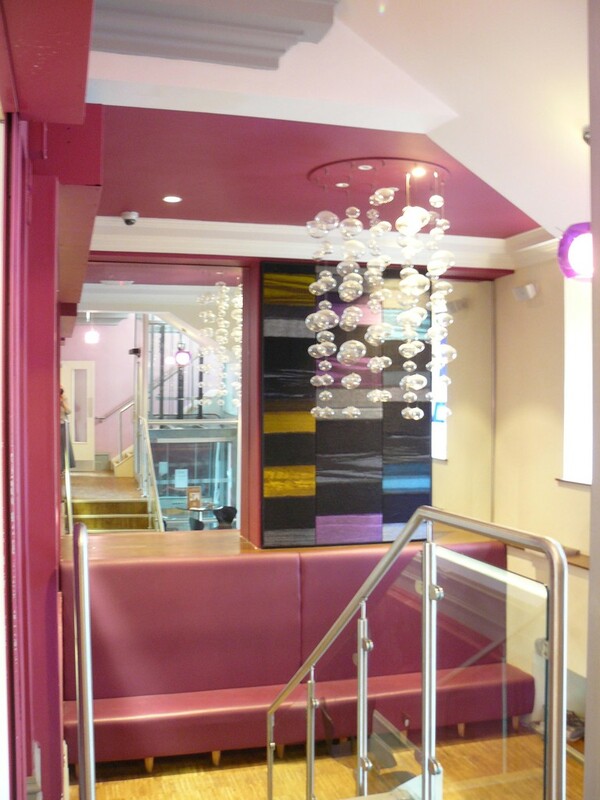 In this project the Malmaison Hotel Group were advised by Curious Architecture and the work was carried out by Banchory Contractors. 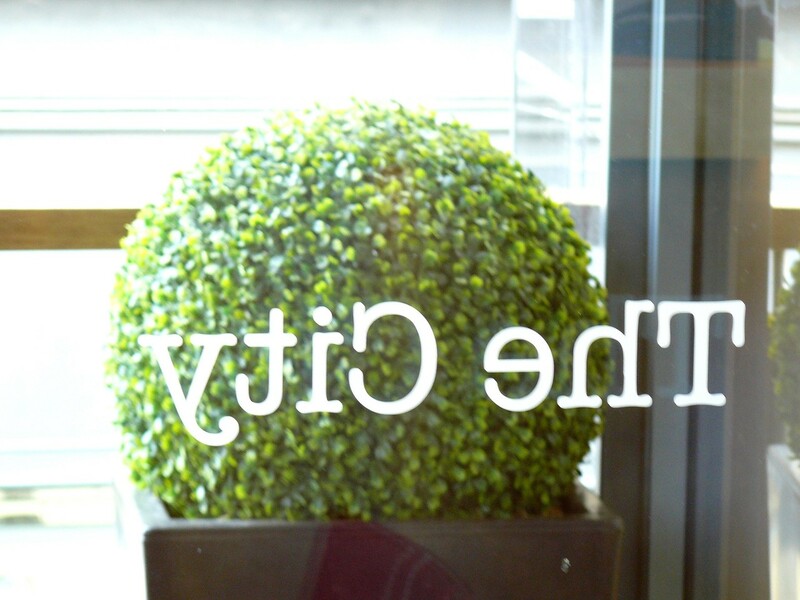 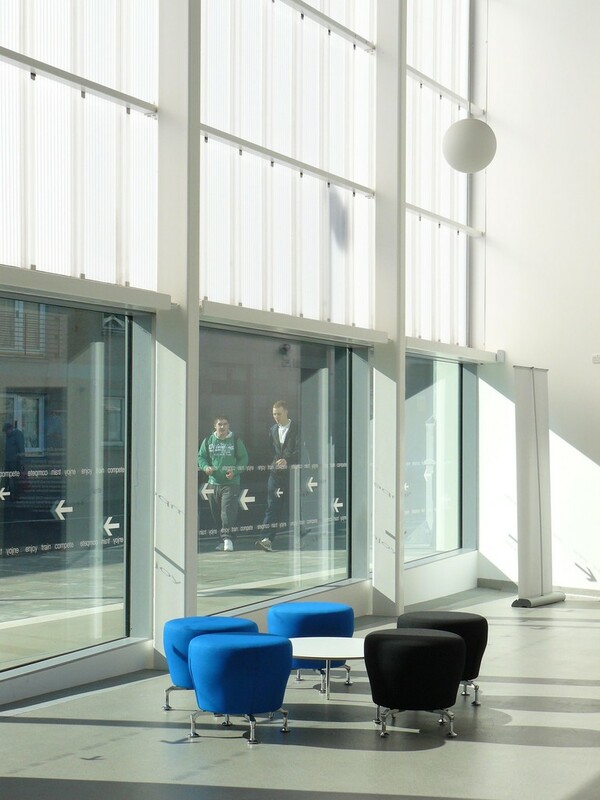 Our second Special Mention went to the Suttie Centre For Teaching And Learning. 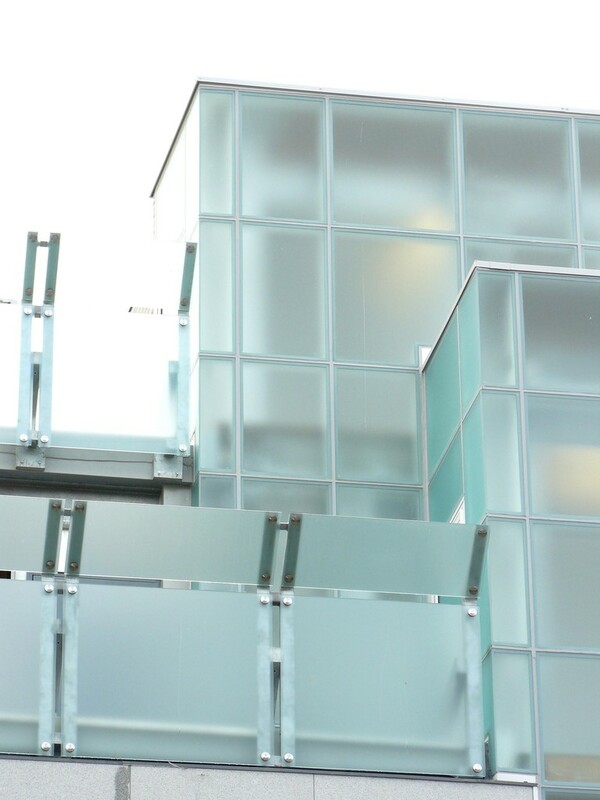 This is a new building in the A.R.I. 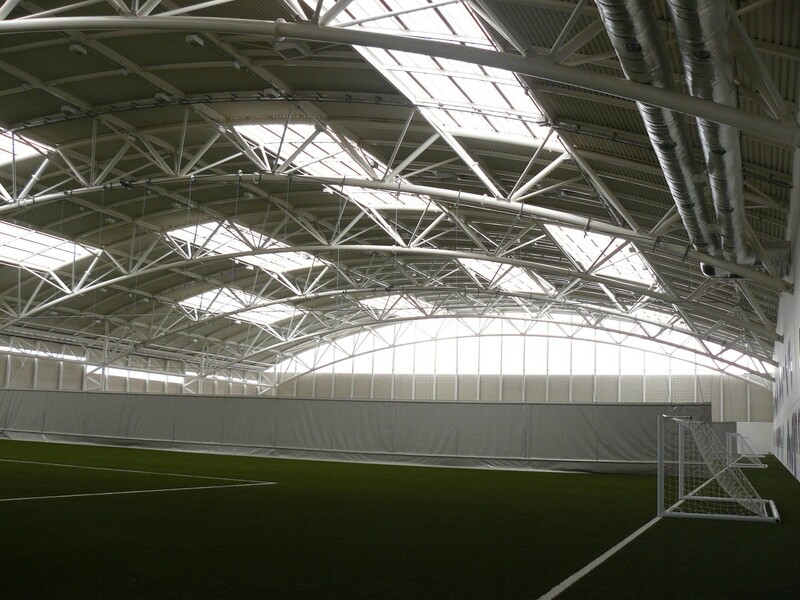 Complex at Forresterhill. 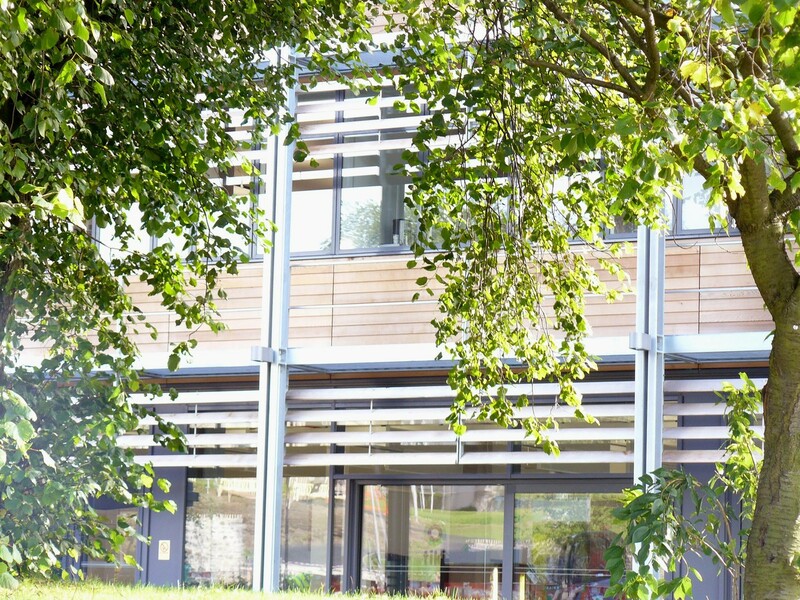 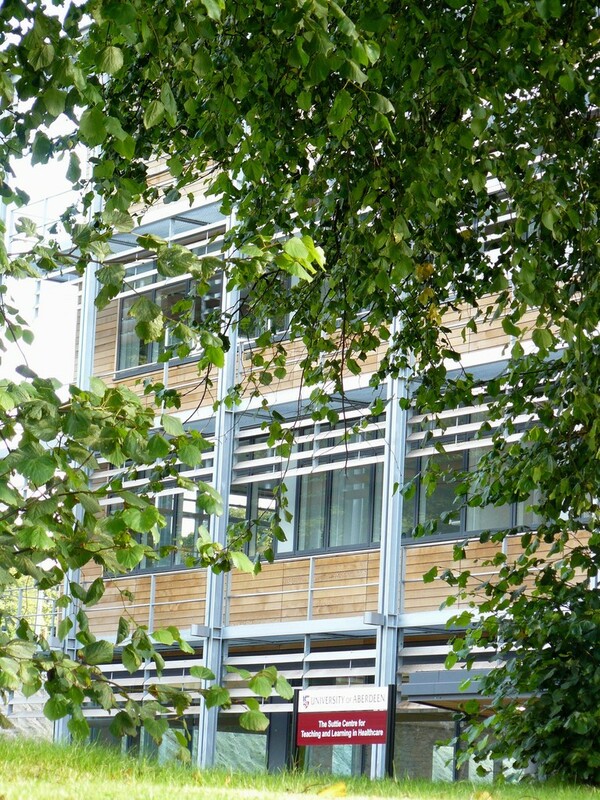 Here, an exciting design employing exposed steel frame with timber slat infill can be glimpsed through trees. 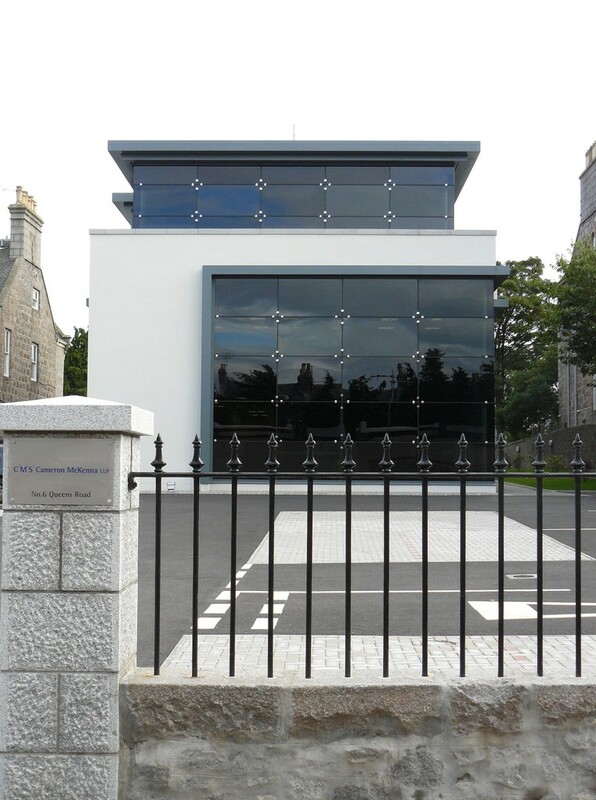 This is a very attractive design byBennetts Associates for the University of Aberdeen and was built by Mansell Construction Services Ltd. 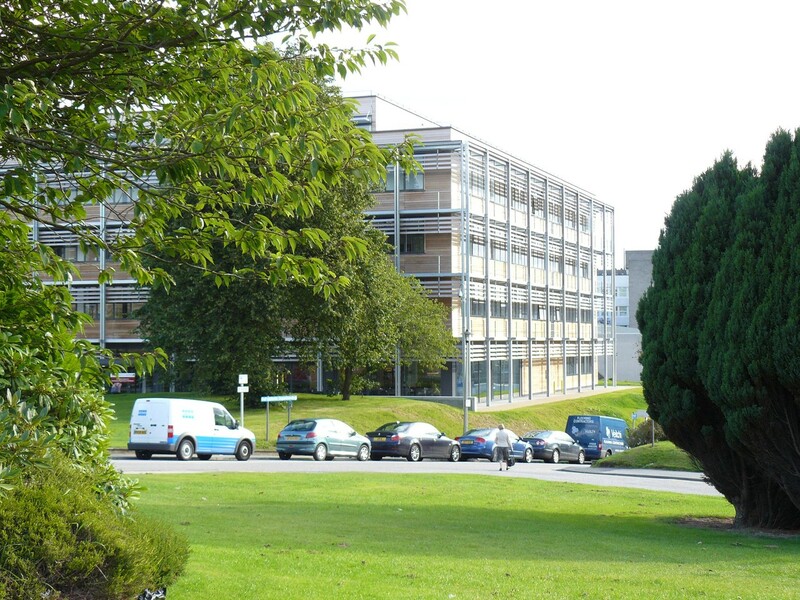 This building would stand out on any site, but in this location it is somewhat disadvantaged by the lack of aesthetic consideration apparent in the overall layout of the hospital complex. 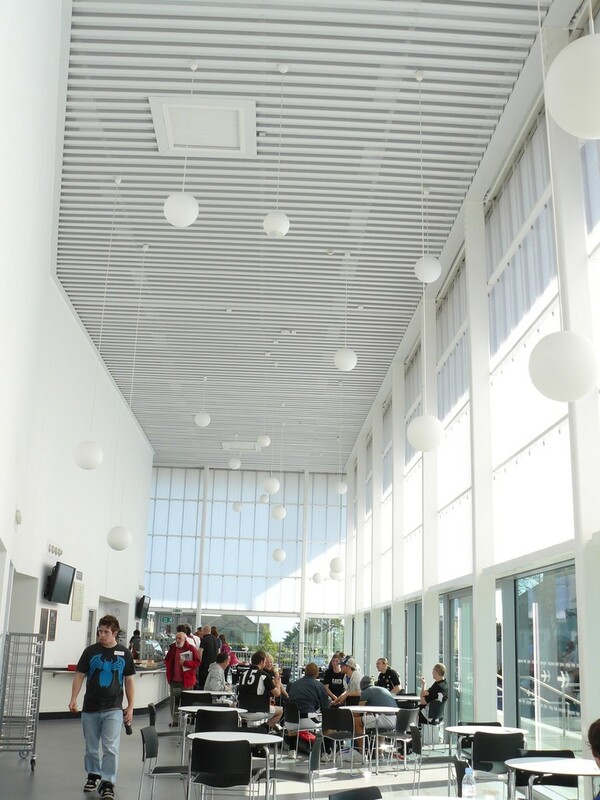 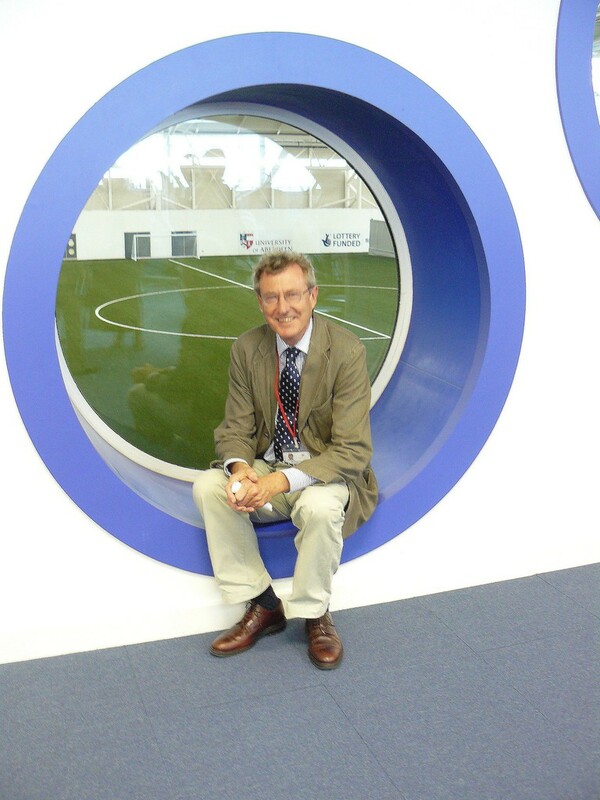 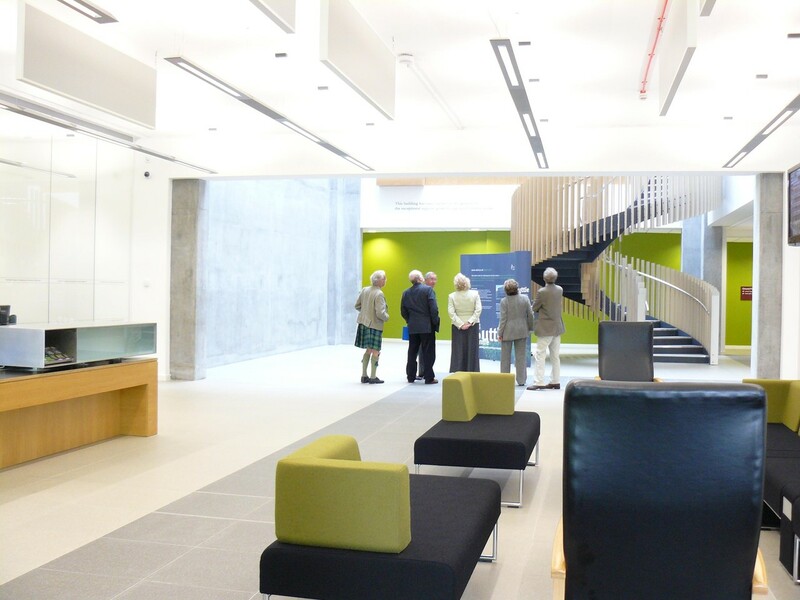 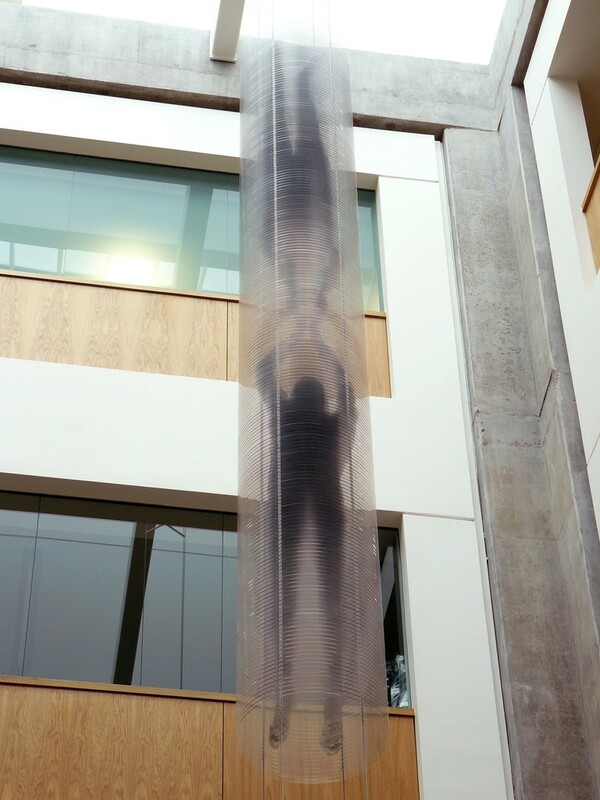 The interior is also worthy of note; a splendid atrium features a column housing MRI scans of Mr Suttie and Professor Mallard, the financial brawn and brains behind the project. 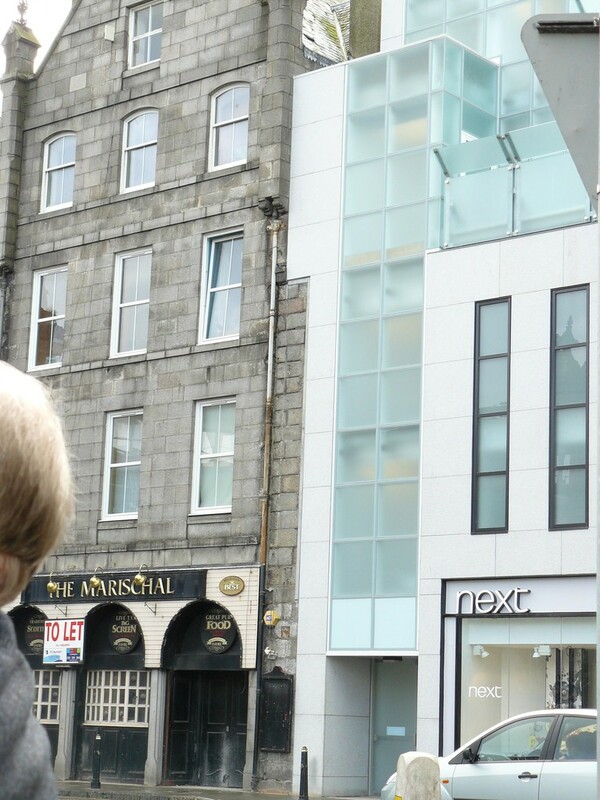 Where one of the older Georgian façades has received a facelift. 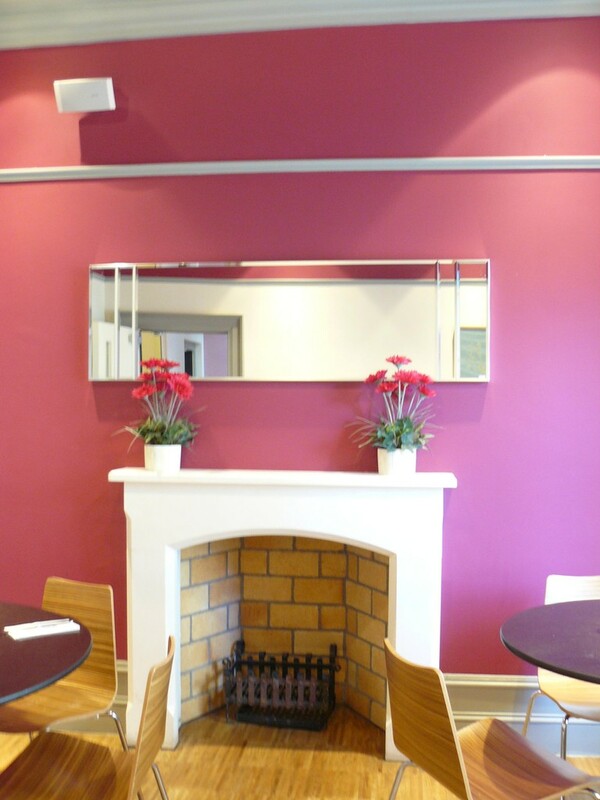 A simple glazed extension has appeared at the rear and a very modern interior has been created, whilst retaining attractive original features like chimney-pieces and grates. 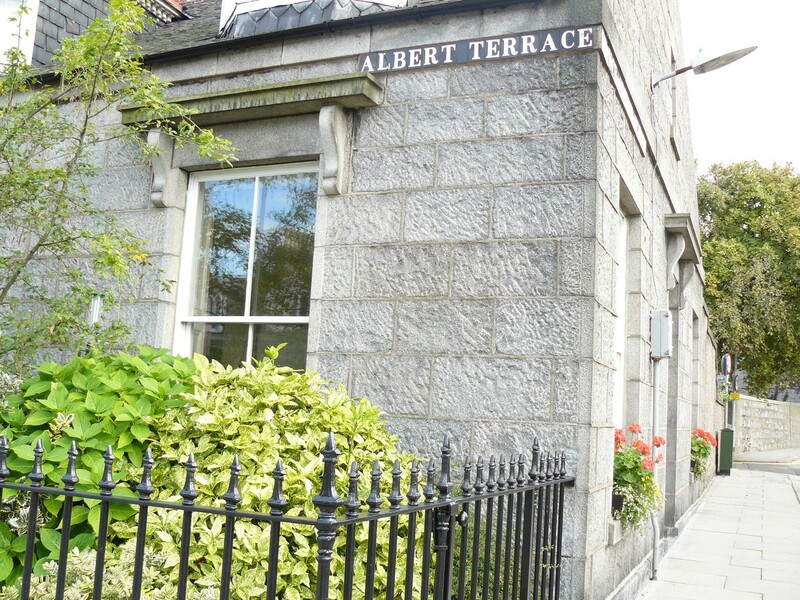 It is important that the rear elevations of Belmont Street are retained and enhanced as the “Old Town” side of Union Terrace Gardens. 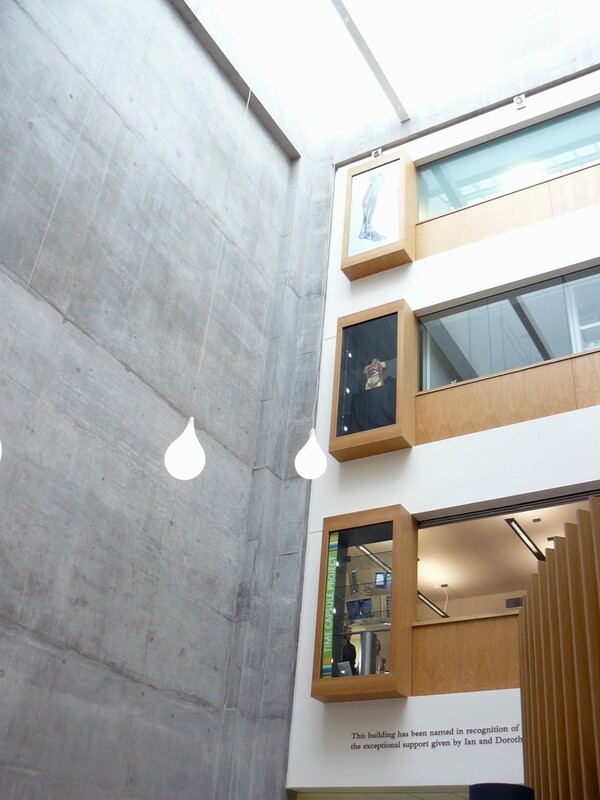 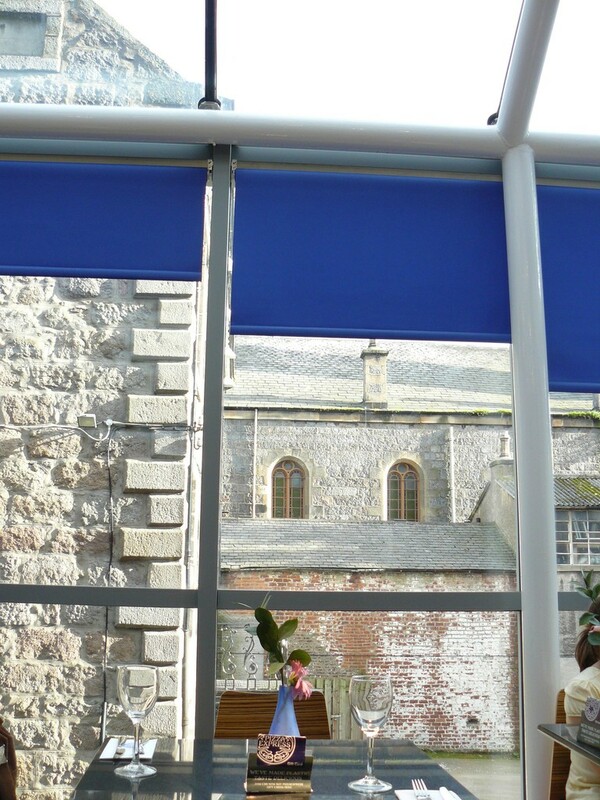 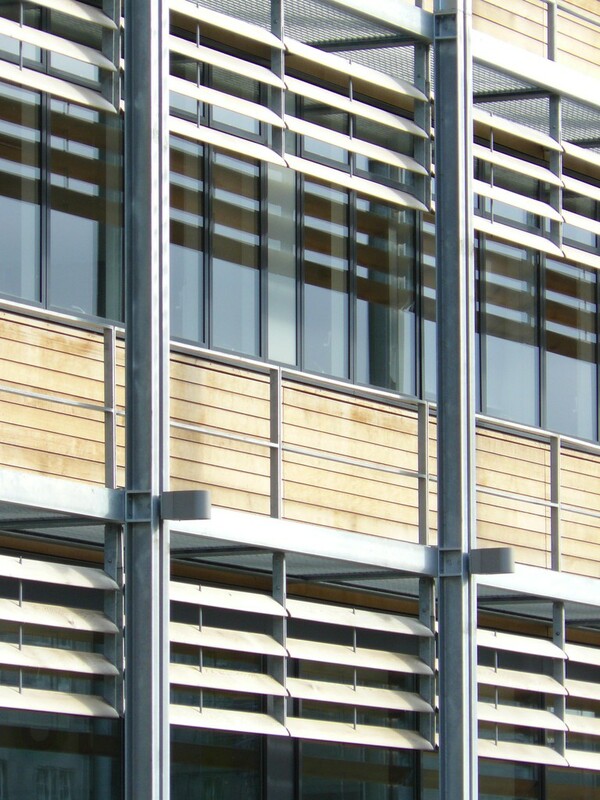 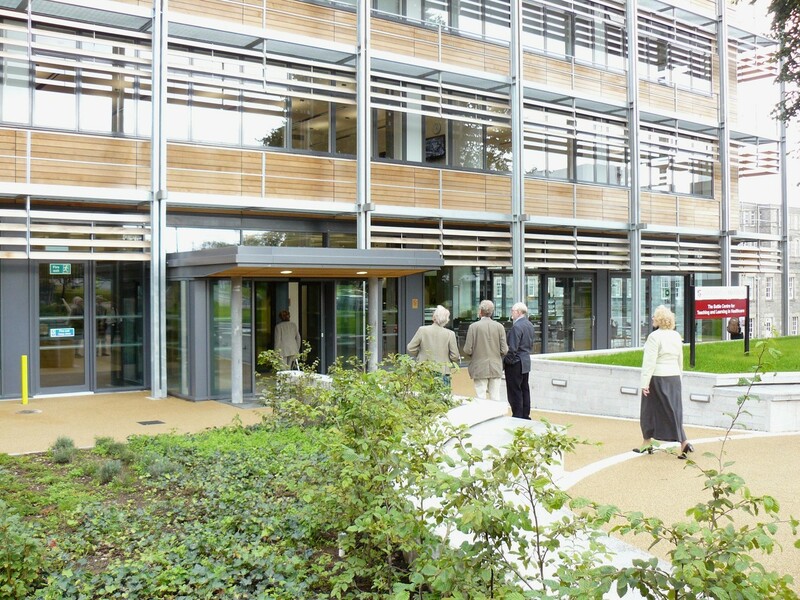 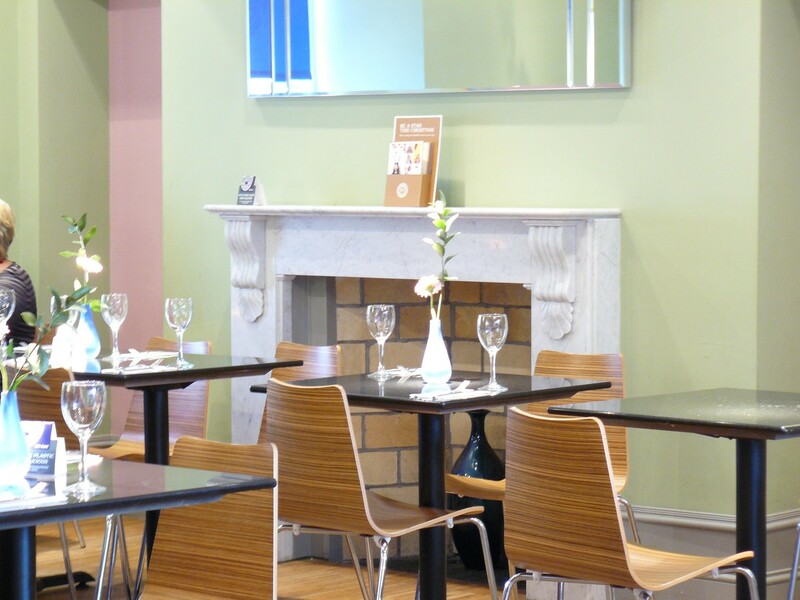 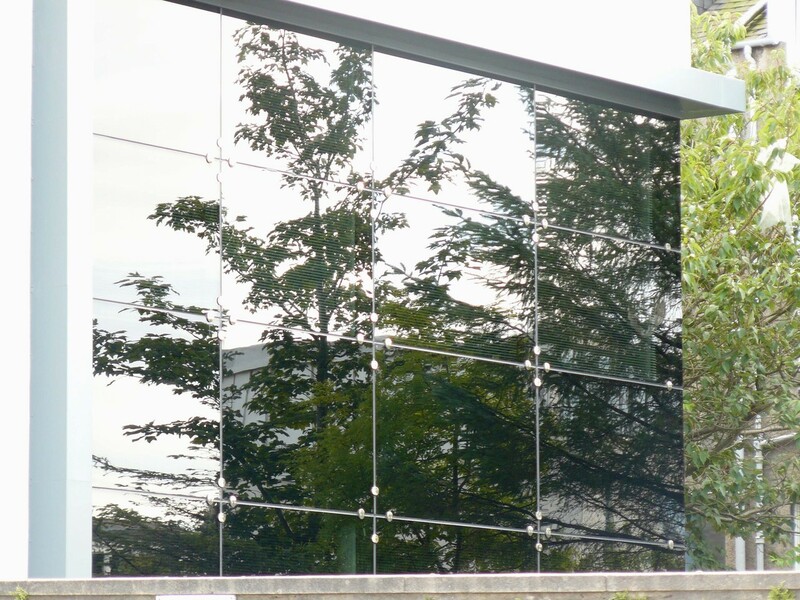 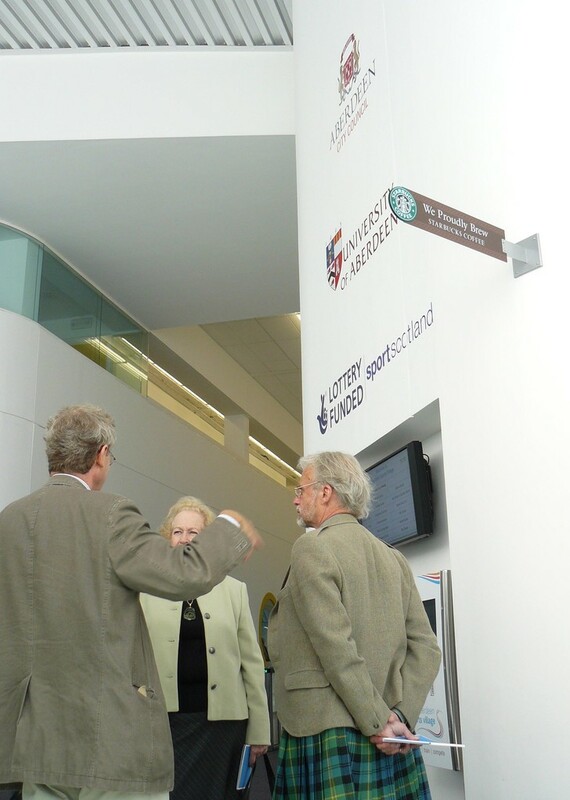 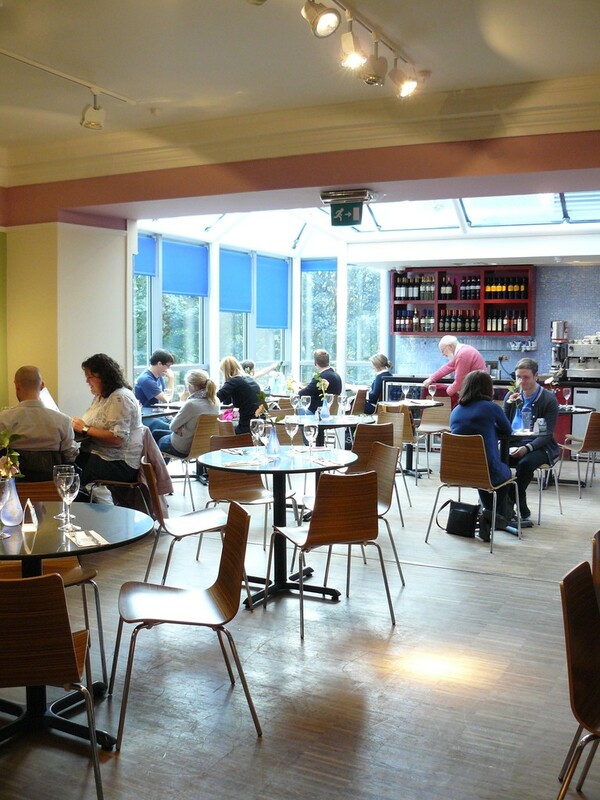 The work was carried out for Grampian Property Group Ltd with architects Mackie, Ramsay & Taylor. 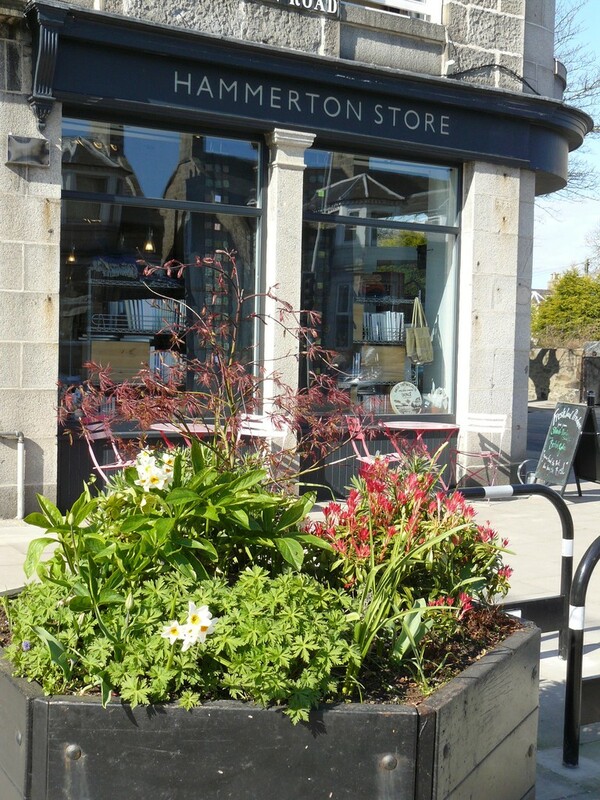 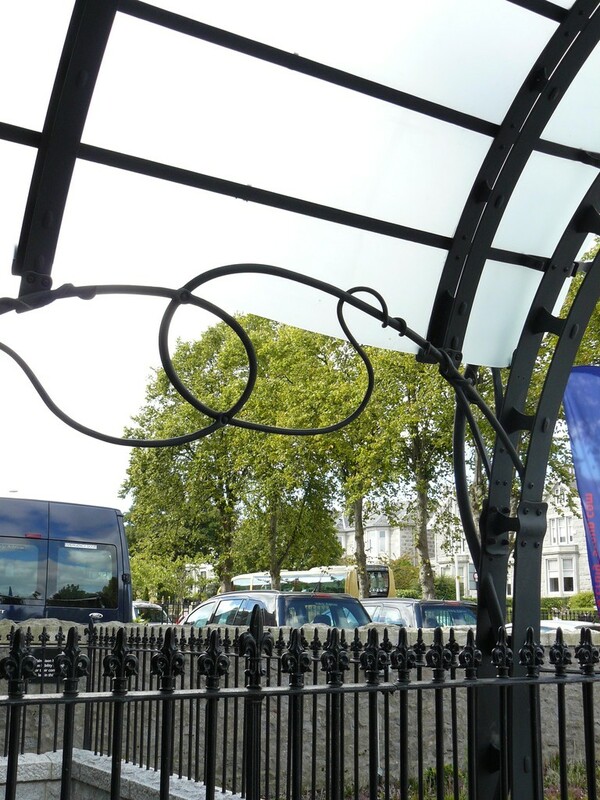 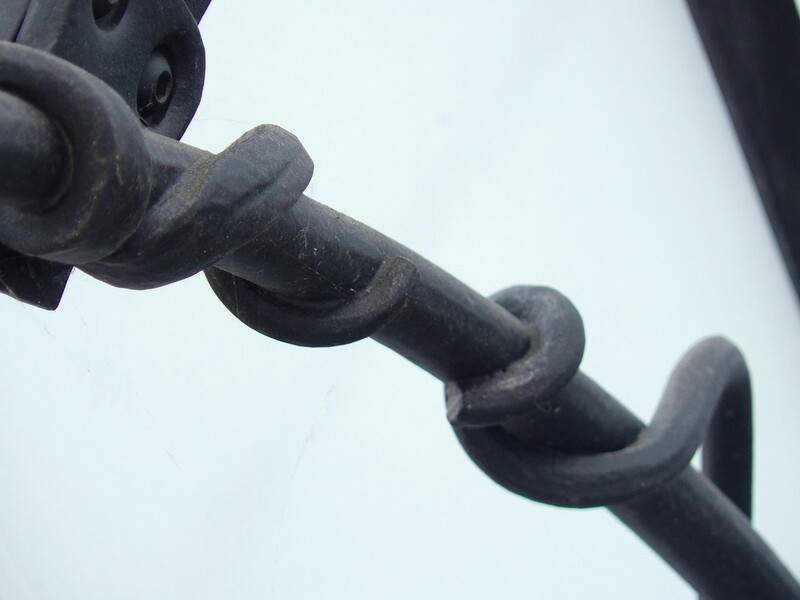 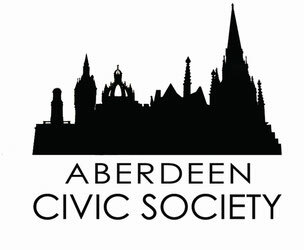 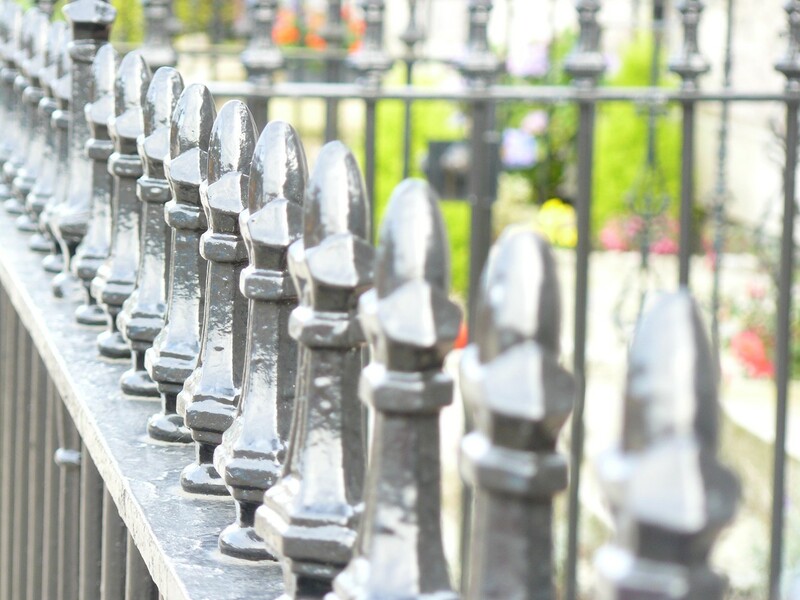 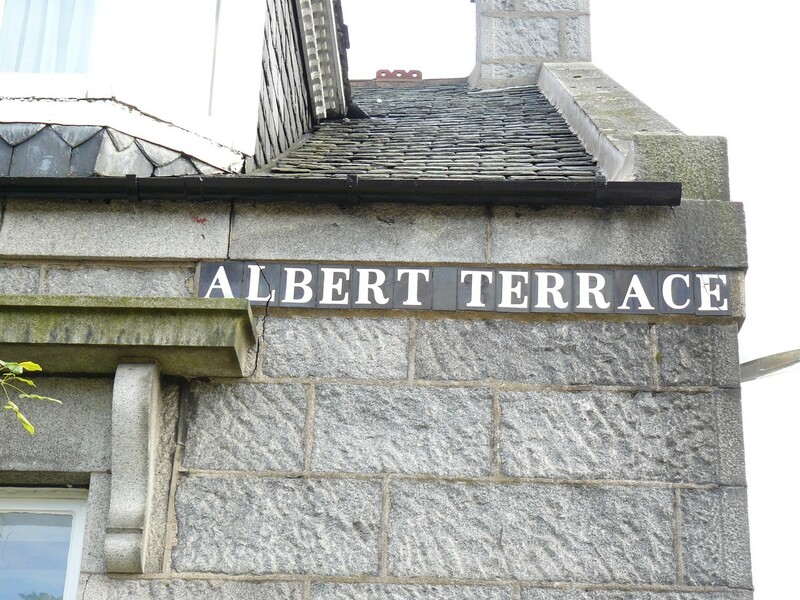 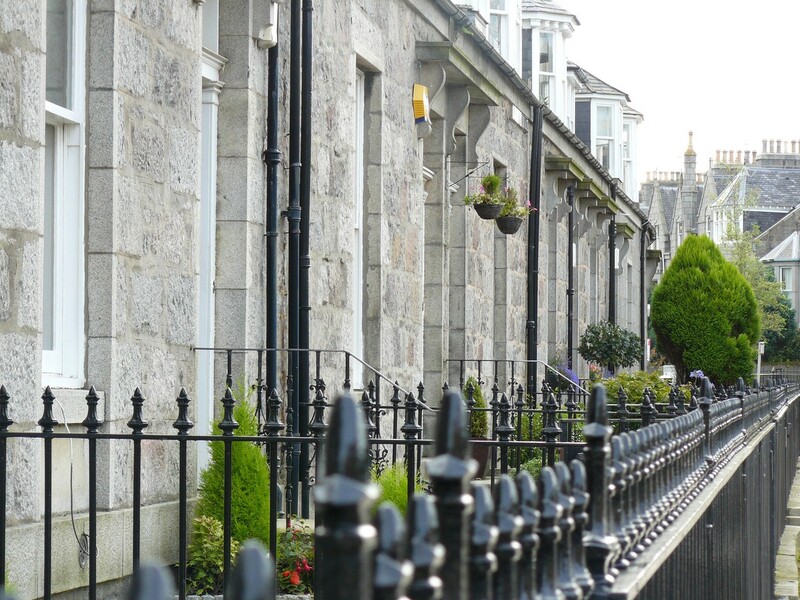 As in some other streets recently, there has been a comprehensive restoration of nearly all the Victorian-style front railings, achieved with the help of the Aberdeen City Heritage Trust. 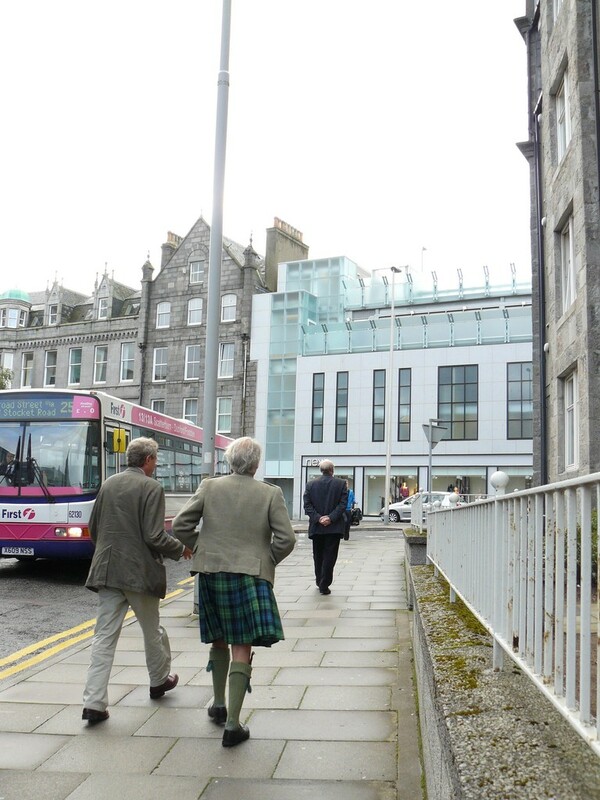 The third Mention was spotted by our Chairman when he was driving around Fittie to inspect other sites. 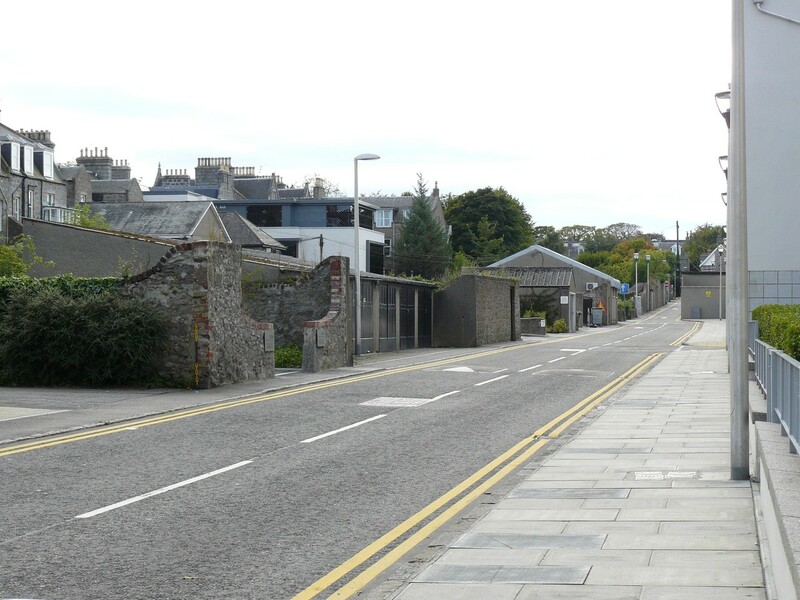 Opposite the grim remnants of the Hall Russell buildings stands what was York Street Nursery School. 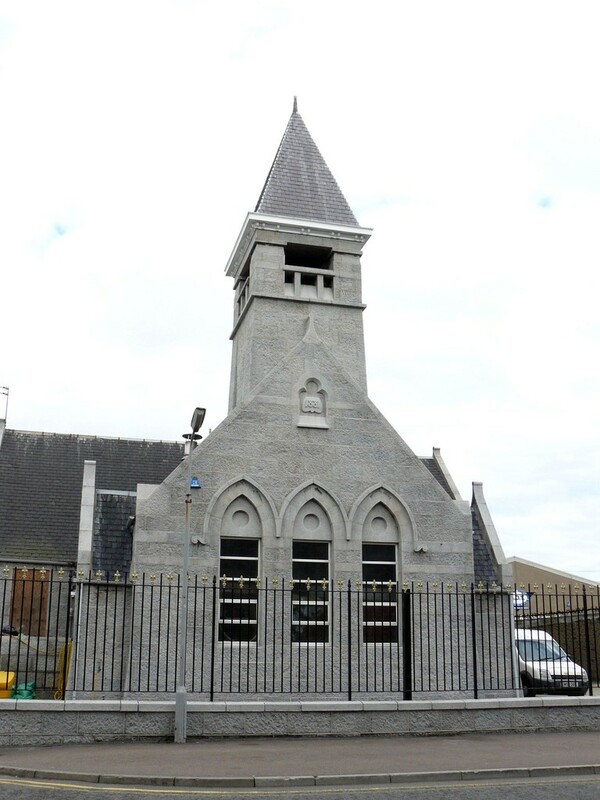 Camstruction have restored and adapted this for themselves as Cam House, and what is one of the few secular Gothic buildings in Aberdeen now sparkles like a new pin in its otherwise rather dull surroundings. 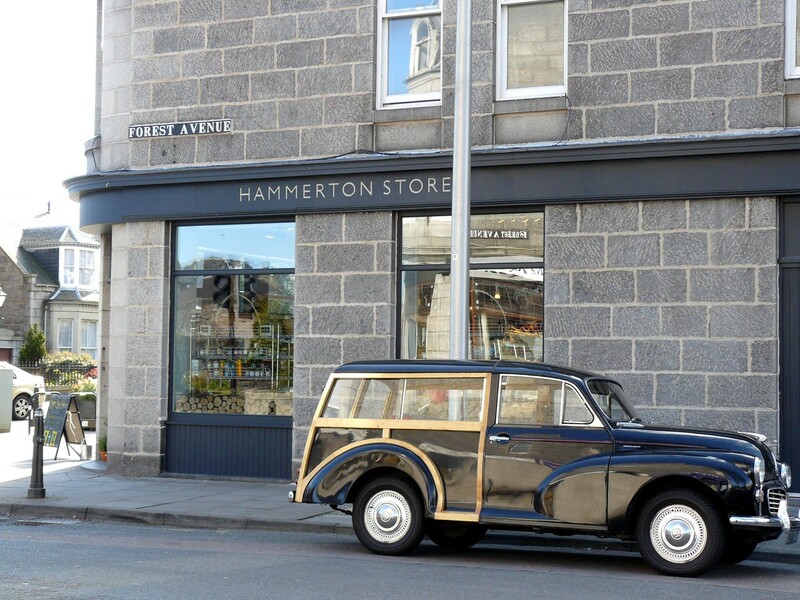 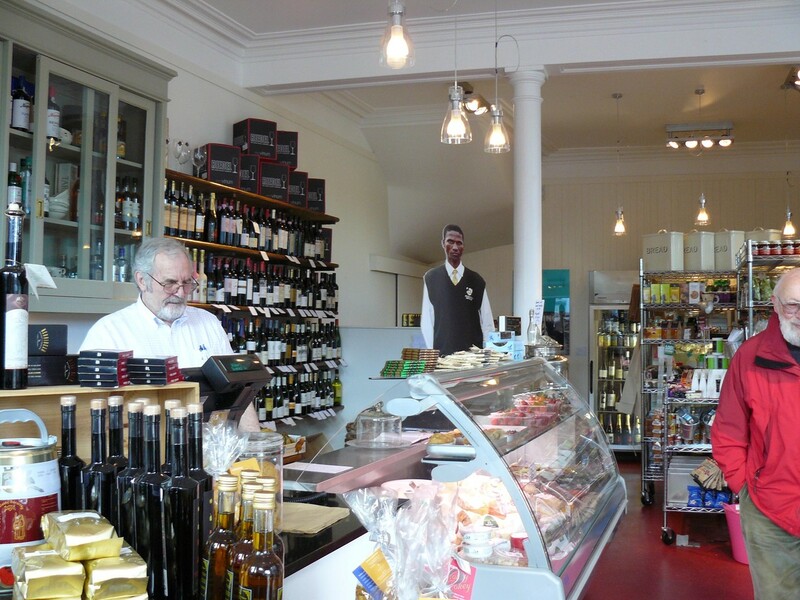 For our final Mention, we moved west to Hammerton Stores at the corner of Great Western Road and Forest Avenue. 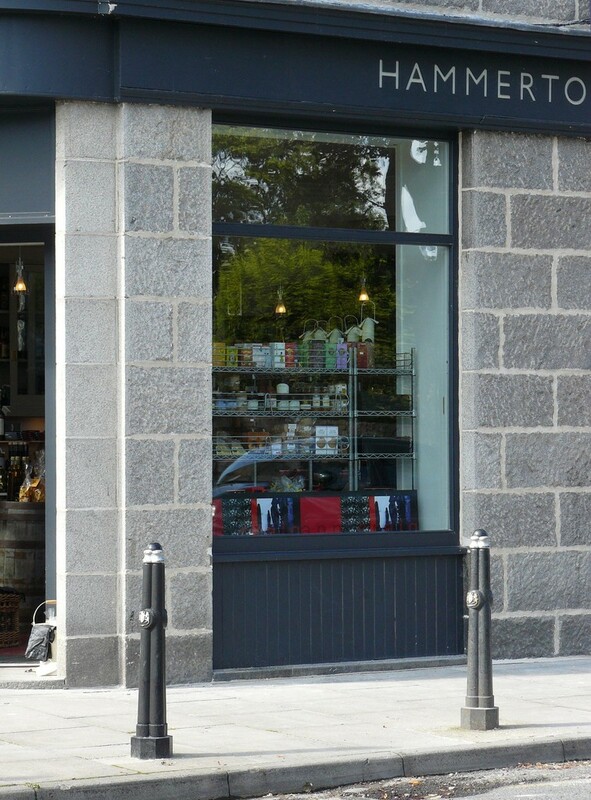 What was once a busy licensed grocer – Knight & Dey – had deteriorated both commercially and structurally and was a vacant and decaying eyesore until it was taken over by Mrs Susan Watson who, with the help of architect Tansy Grigor-Taylor and Steven Reid Joinery Ltd, has transformed the shop to a state surpassing its former glory and providing an outlet for a wide range of goods; it even has space for small art exhibitions and the like, and has become a real centre and hub of community activity.